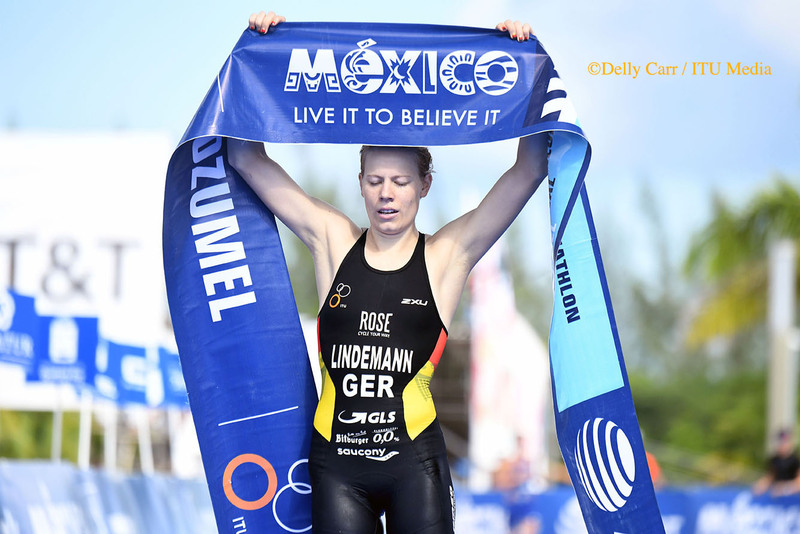 Laura Lindemann (GER) kept her World Championship winning streak going, this time in the Under23 women’s World Championship race, securing her third consecutive world title after winning the Junior races the last two years. 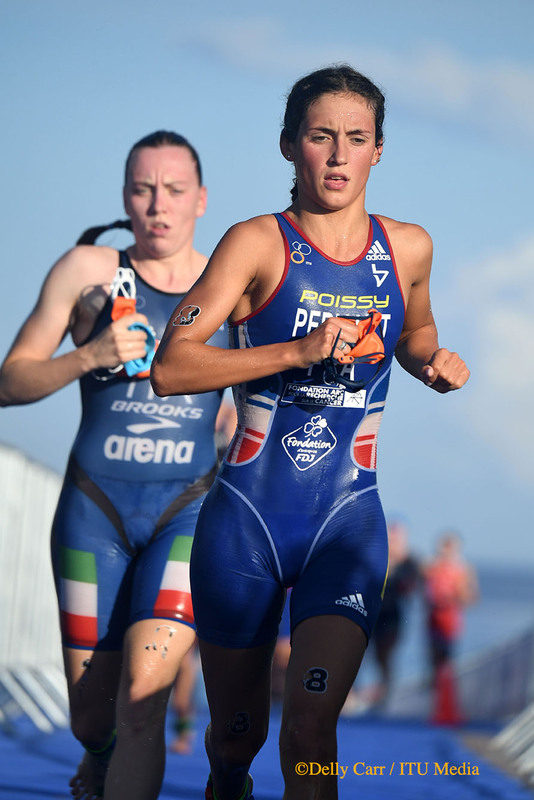 Leonie Periault (FRA), who scored silver in the U23 race last year, repeated her silver after a heated battle with Lindemann on the run. 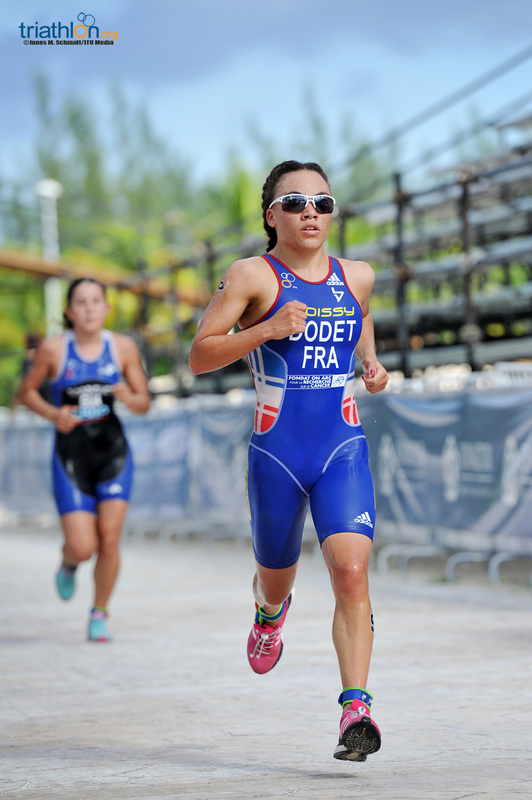 France took home another medal when Sandra Dodet crossed over with bronze. 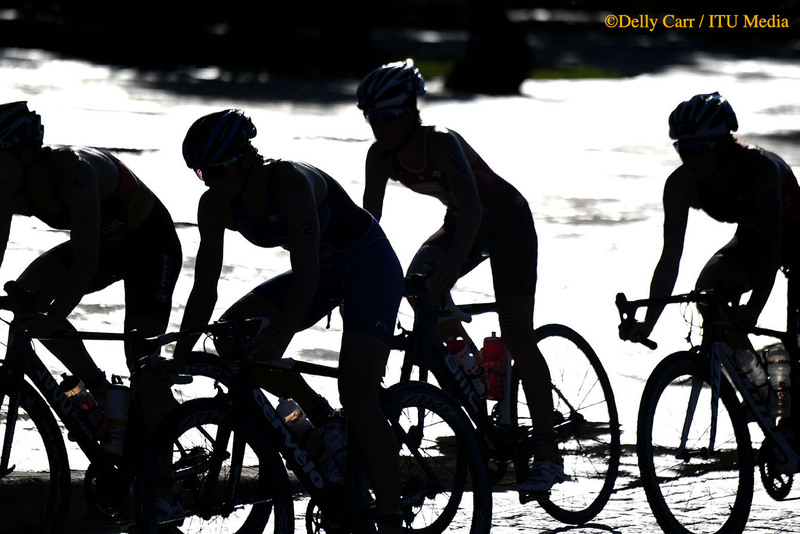 The women started the day just after the sun rose with a one-lap 1500m swim. 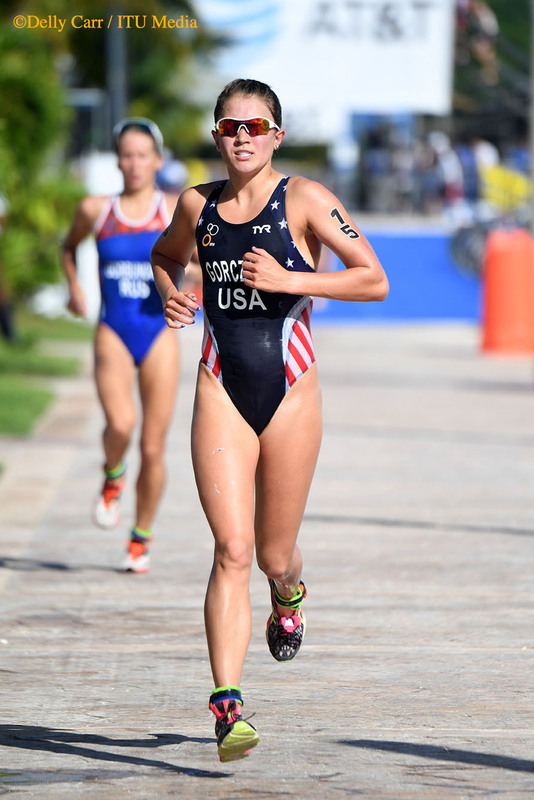 With the current flowing in their favor, six women used the tides to push out in front for a 20-advantage out of the water. 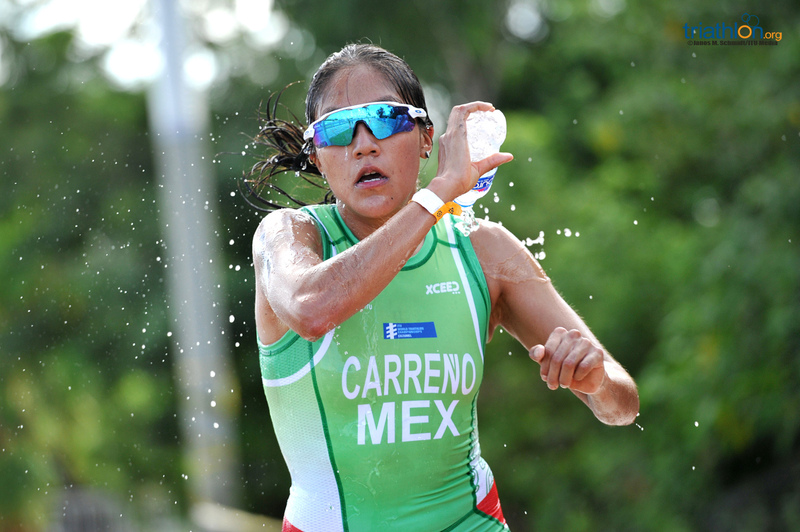 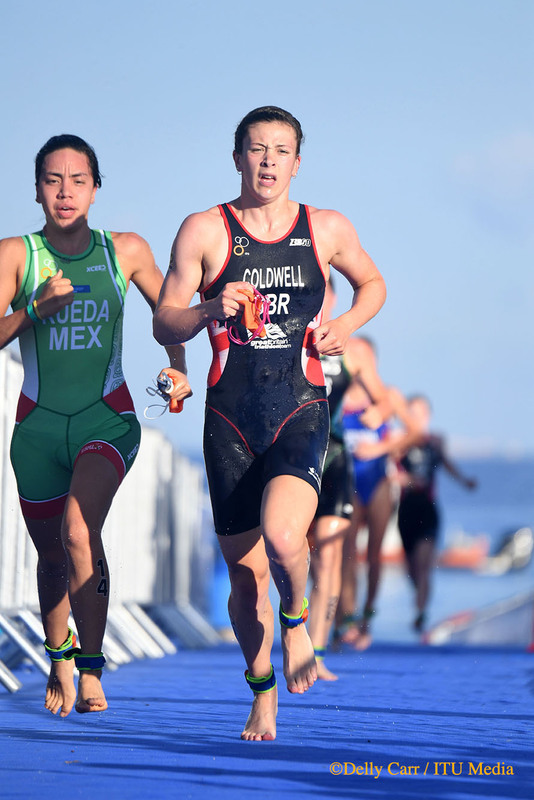 The group included Brits Sophie Coldwell and Georgia Taylor-Brown, as well as Mexico’s own Lizeth Rueda Santos. 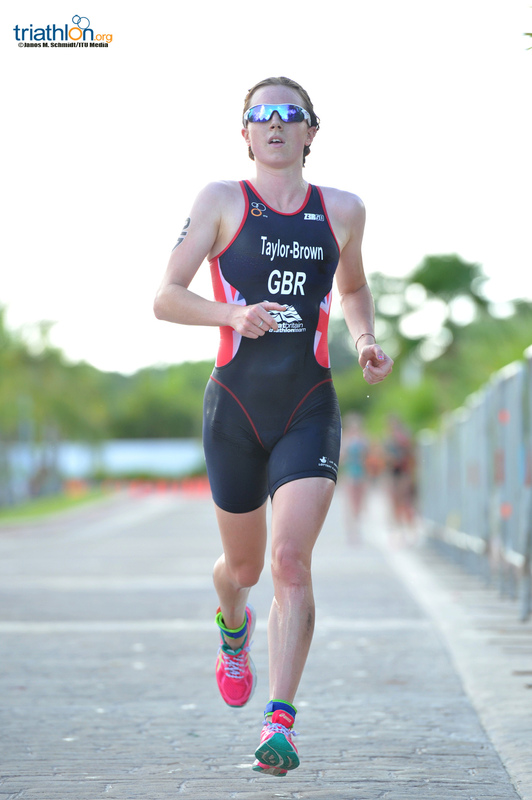 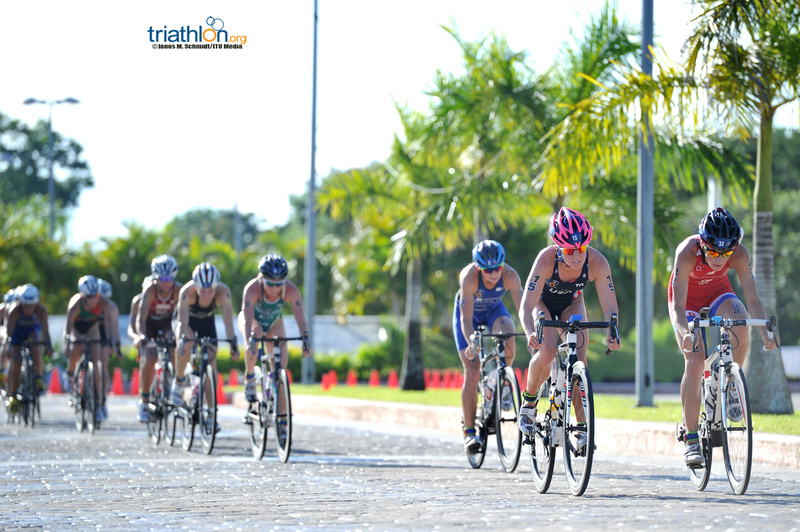 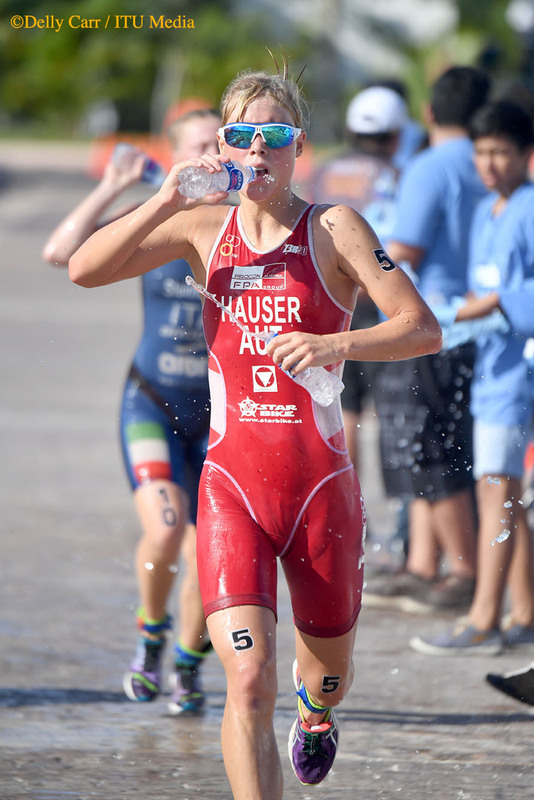 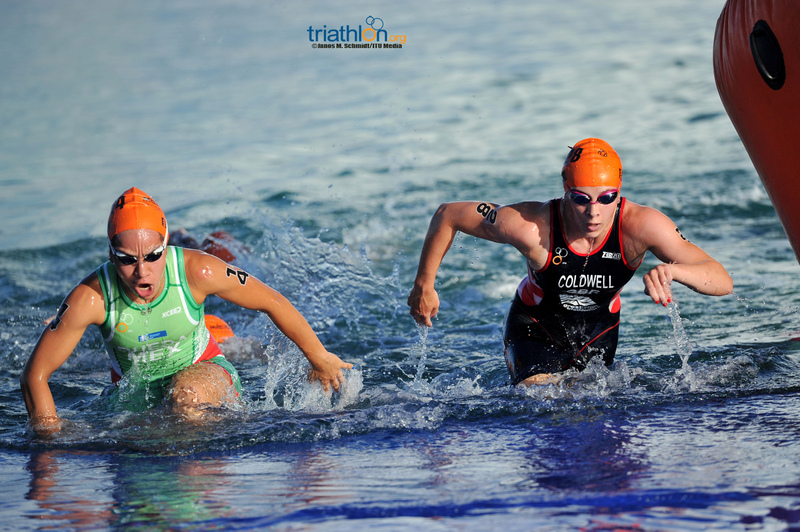 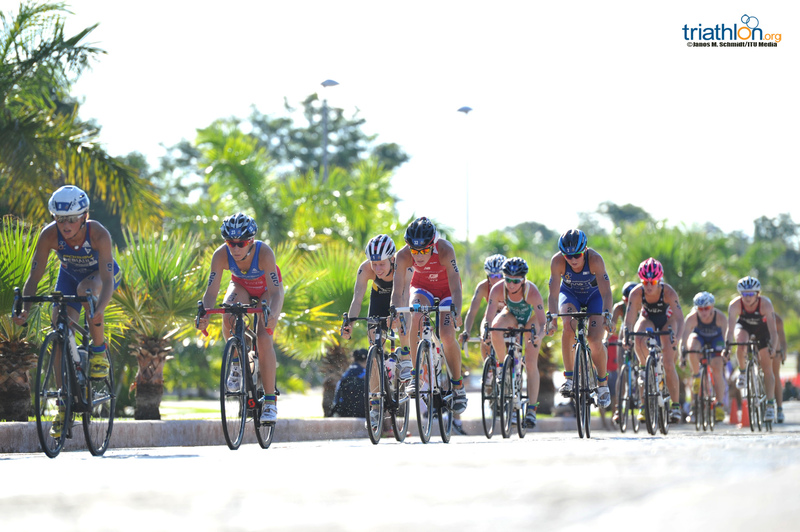 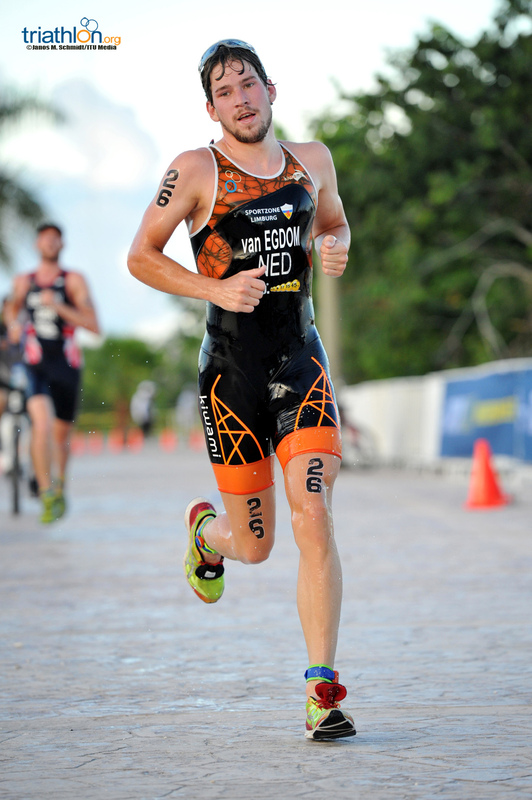 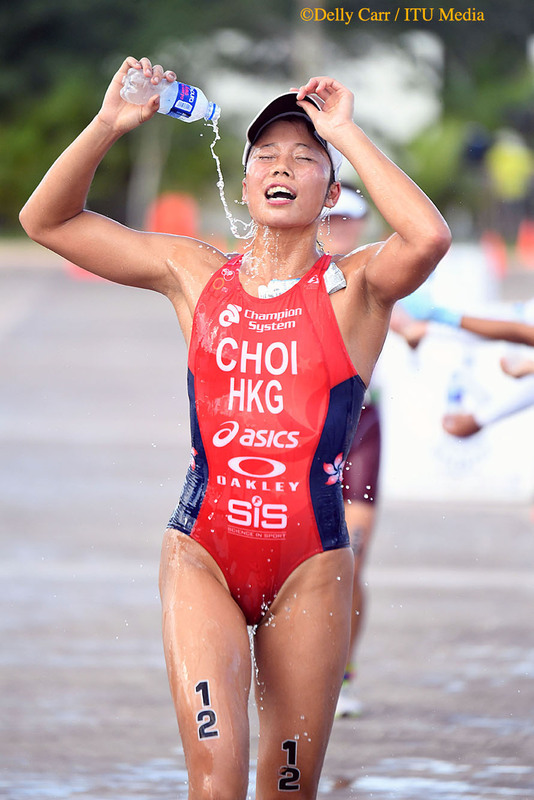 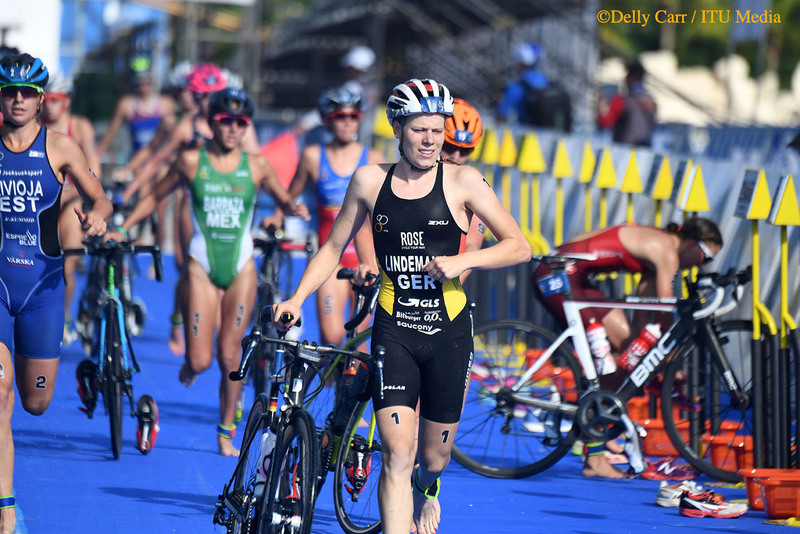 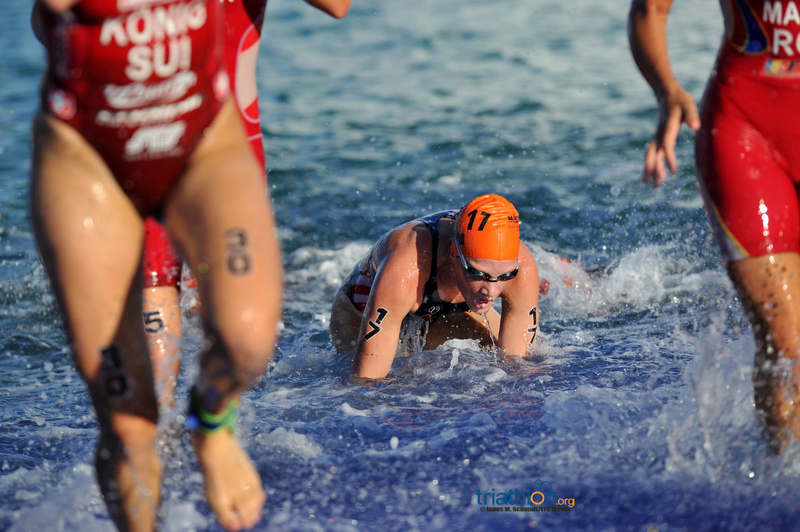 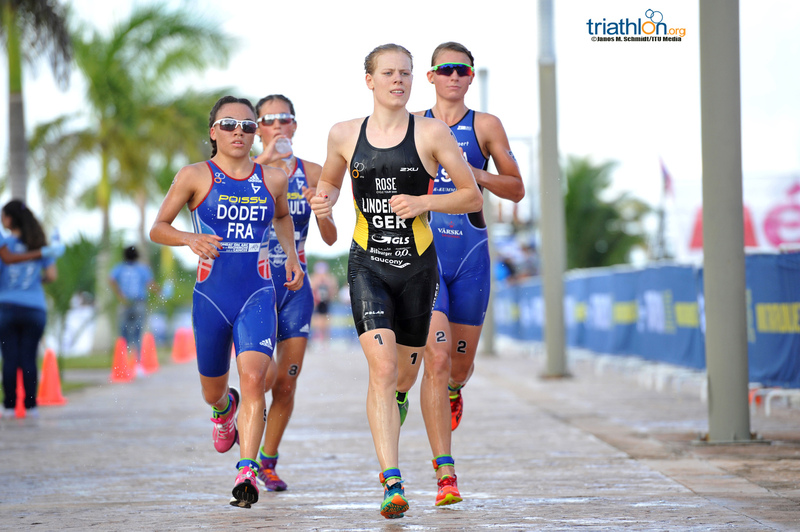 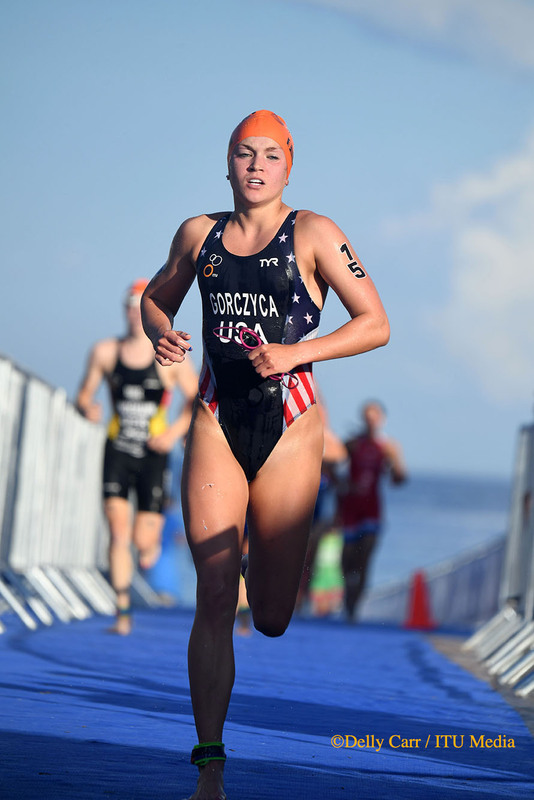 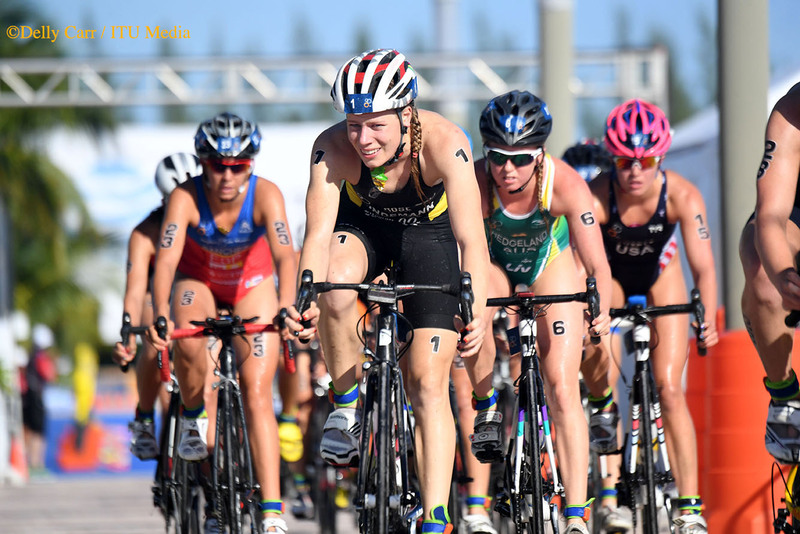 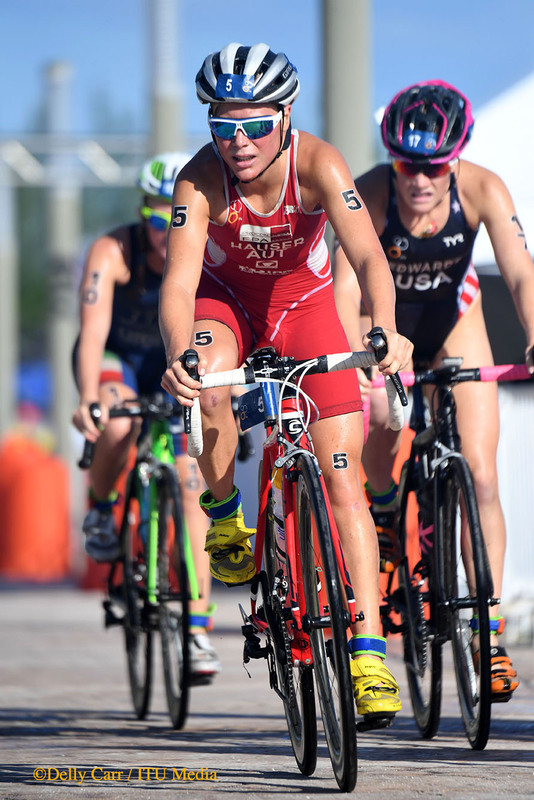 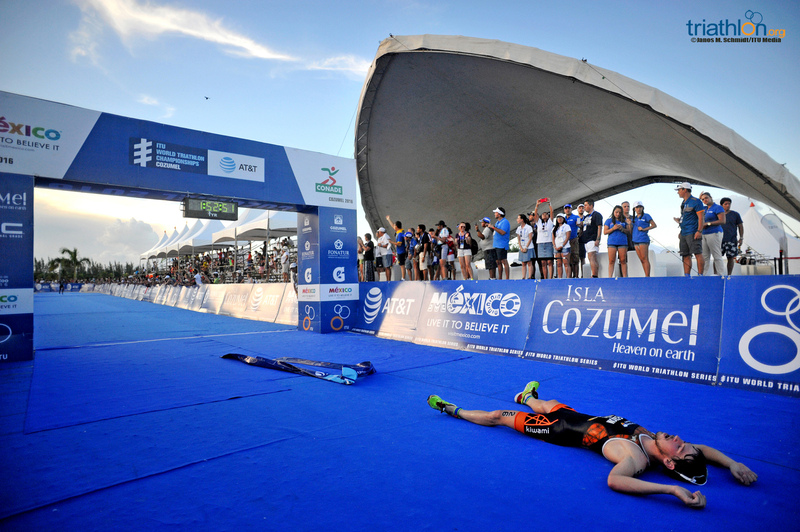 Coldwell, together with the Netherland’s Maya Kingma and Russia’s Anastasia Gorbunova, both of whom also exited the water in the leading half dozen, cruised out of T1 with crushing speed to secure nearly a minute lead by the second bike lap. 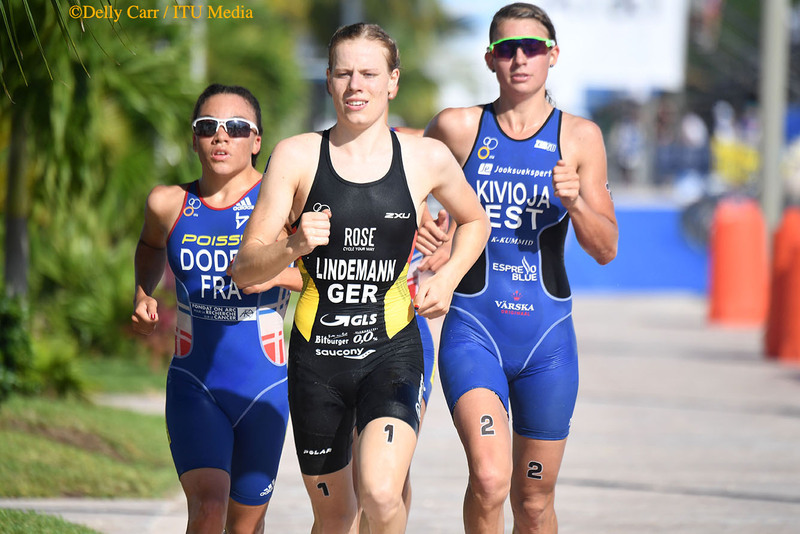 But with Lindemann, who just competed in her first Olympics last month, trailing in the chase, the trio’s lead didn’t stick. 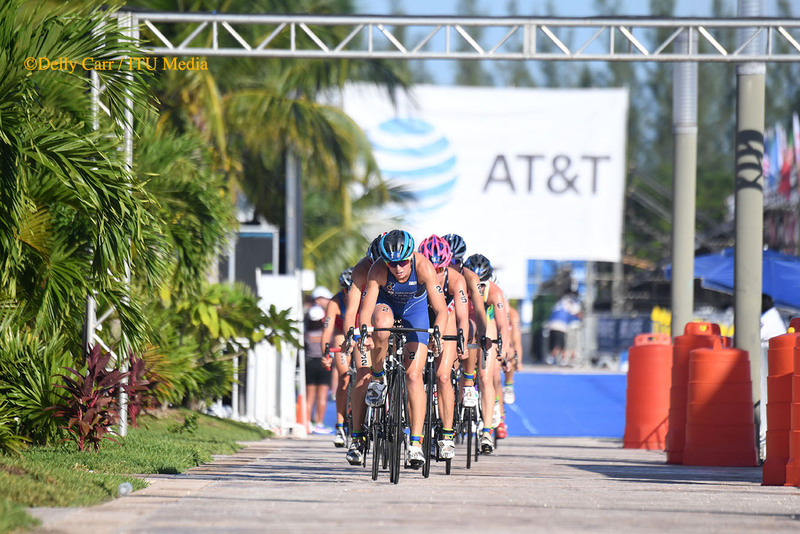 Although it took six of the eight bike laps, the 14-deep chase bridged up with two bike laps to go. 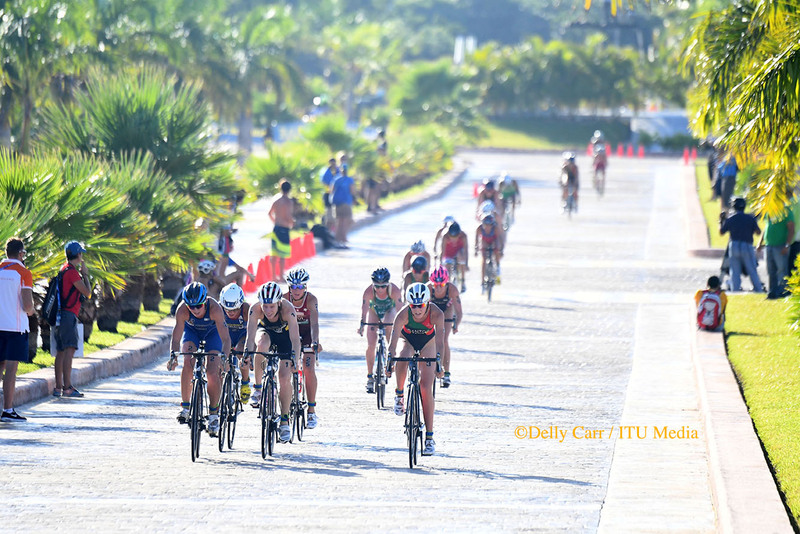 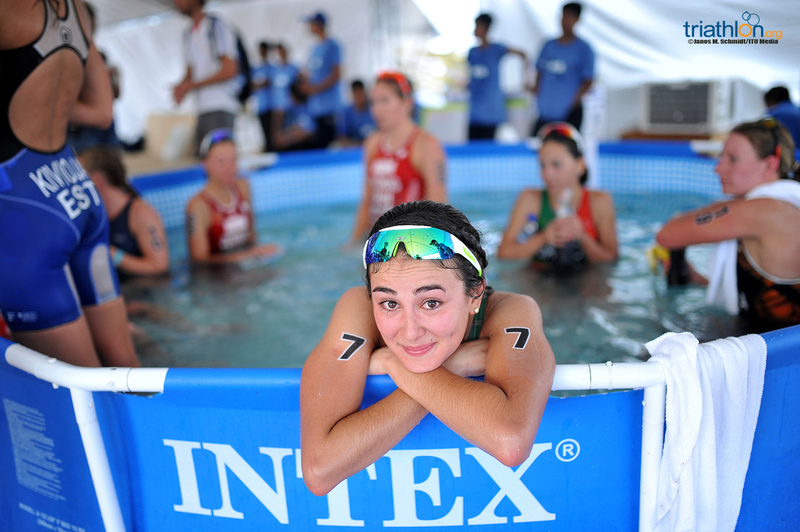 The 17 ladies lit up transition with nearly two minutes over the rest of the field, meaning the eventual winners would coming from the top swimmers and riders. 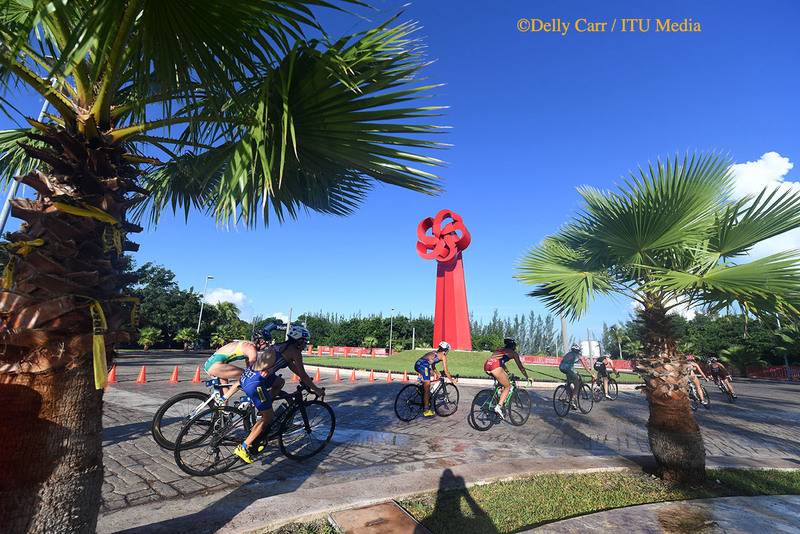 Early on the four-lap 10km run, Lindemann, Kaidi Kivioja (EST) and Leonie Periault (FRA) hammered out the fastest pace, leaving their competitors behind. 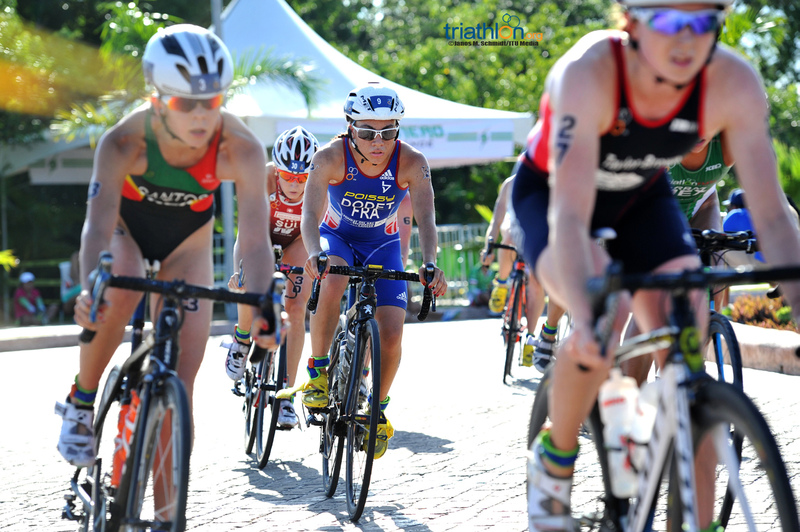 Late on the first lap, Sandra Dodet (FRA) responded to the trio’s attack, surging up to make it a four-woman group leading onto lap two. 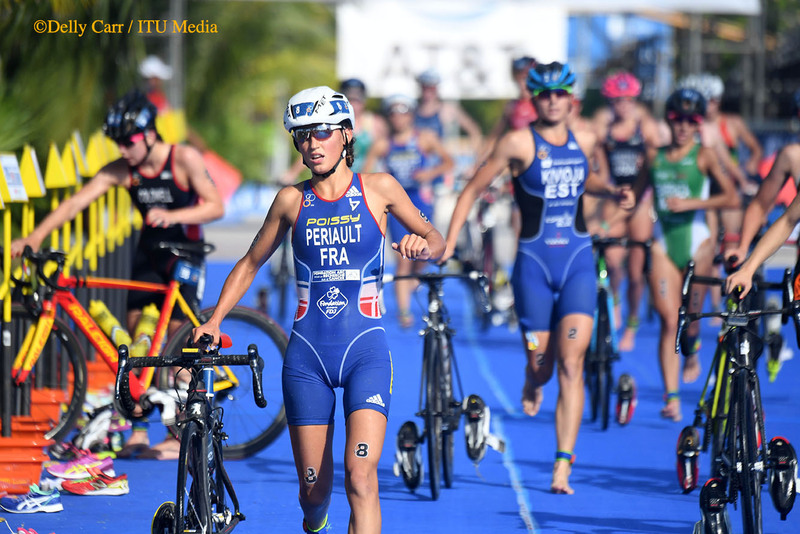 With a penalty for failing to get all of her equipment in the box in T1, Kivioja opted to serve her 10-secon penalty at the second lap, which gave the French women and Lindemann a 15-second advantage midway through the run. 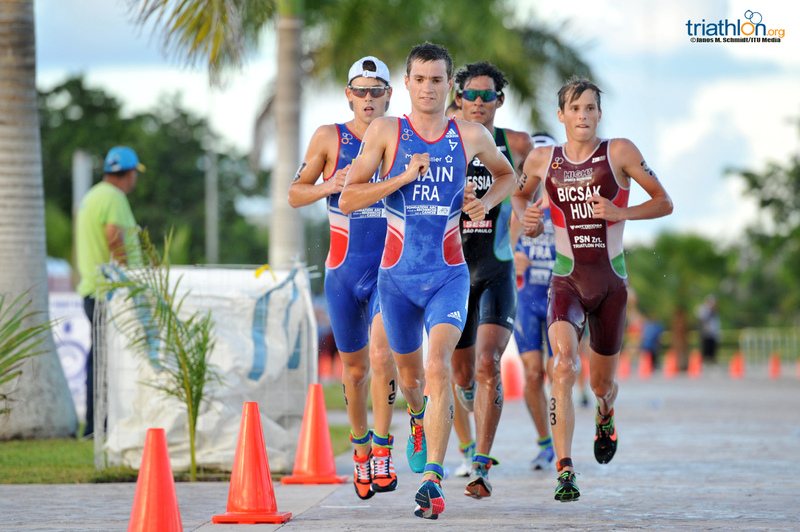 On the third lap, Periault and Lindemann gunned it for gold, dropping Dodet. 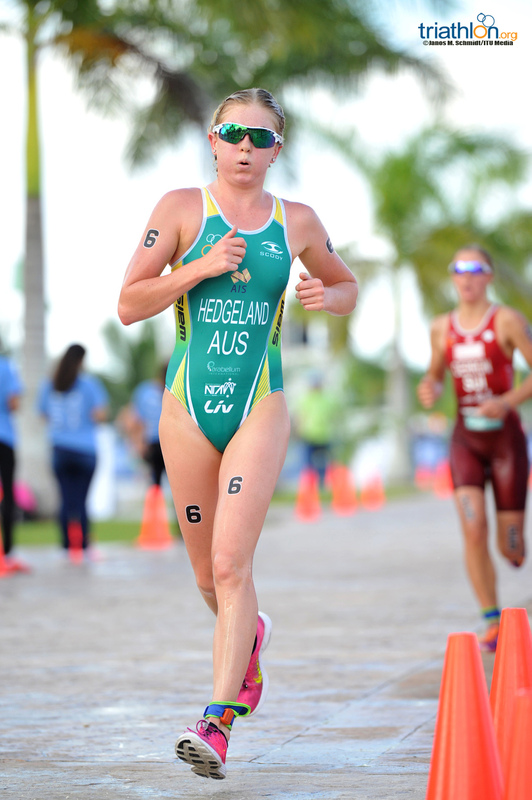 From there, it was a two-woman show, with the pair of Periault and Lindemann going surge for surge. 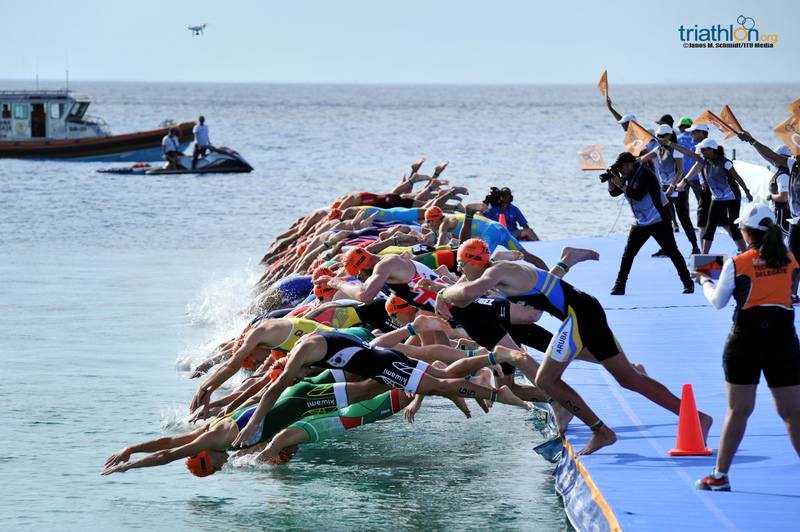 They weren’t able to drop each other until the final 500 meters, when the German blasted ahead. 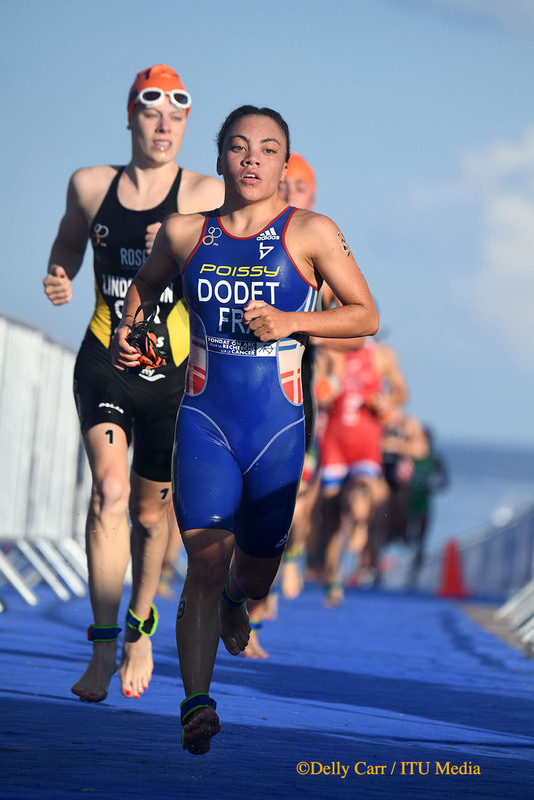 The late effort saw Lindemann cross over first for gold, followed by Periualt and then Dodet. 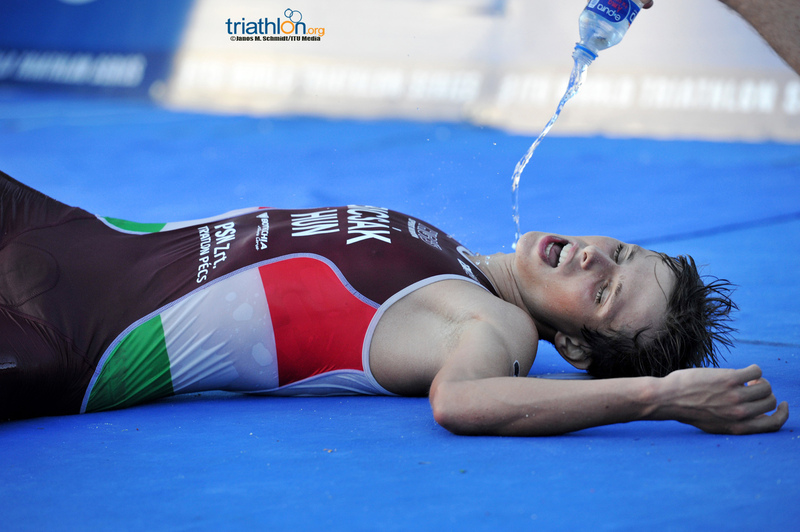 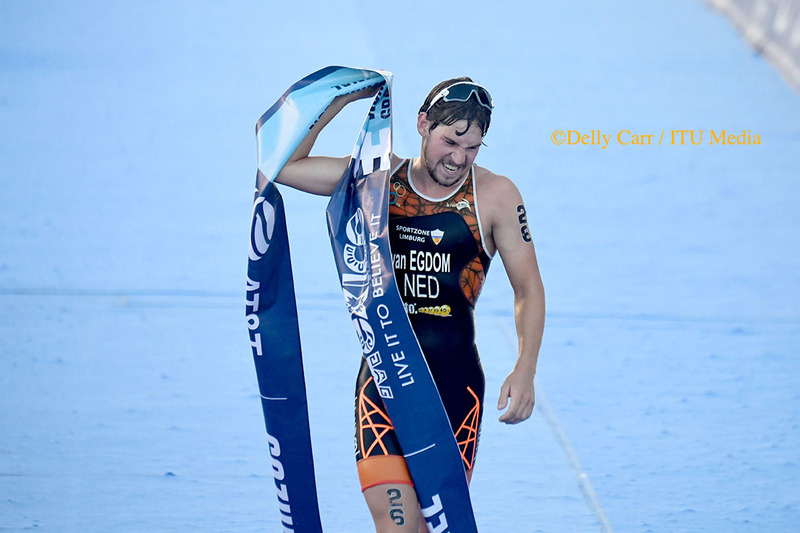 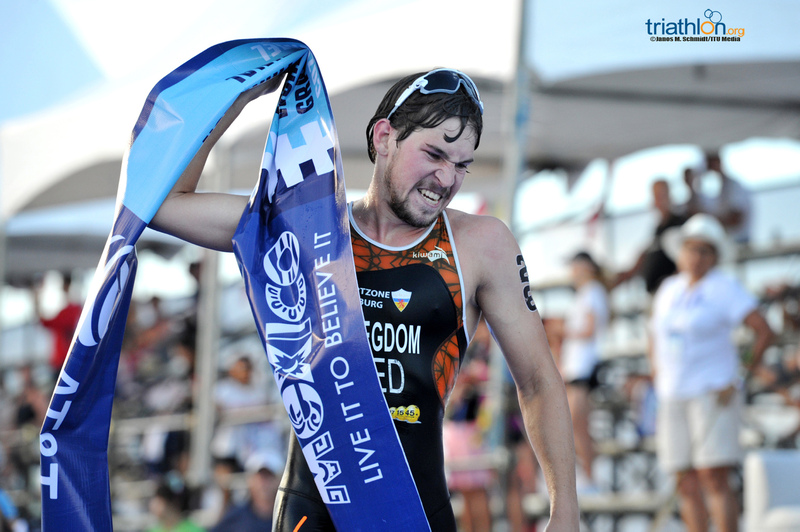 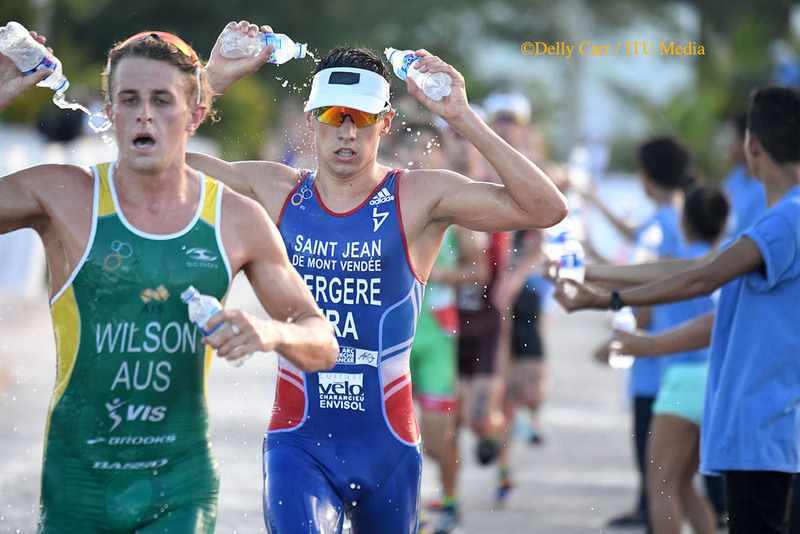 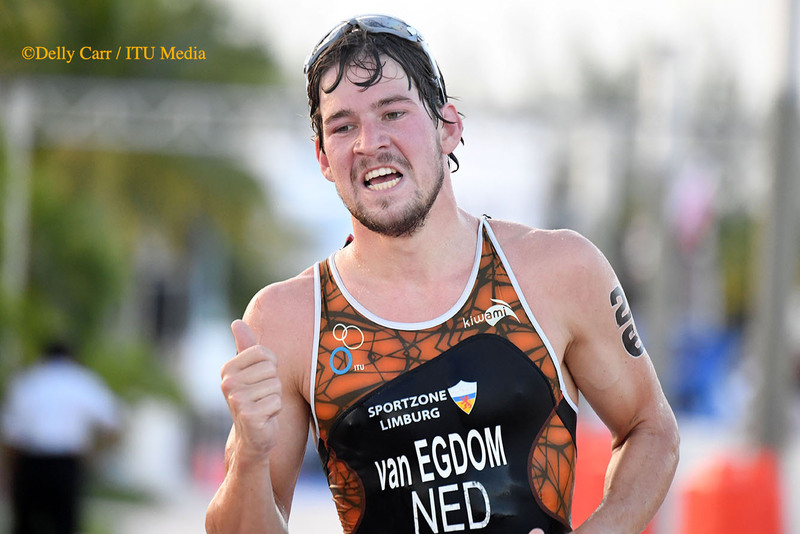 The Netherlands’ Jorik Van Egdom scored the men’s Under23 World Championship title, not only surviving the blistering heat, but thriving in the conditions with a scorching run. 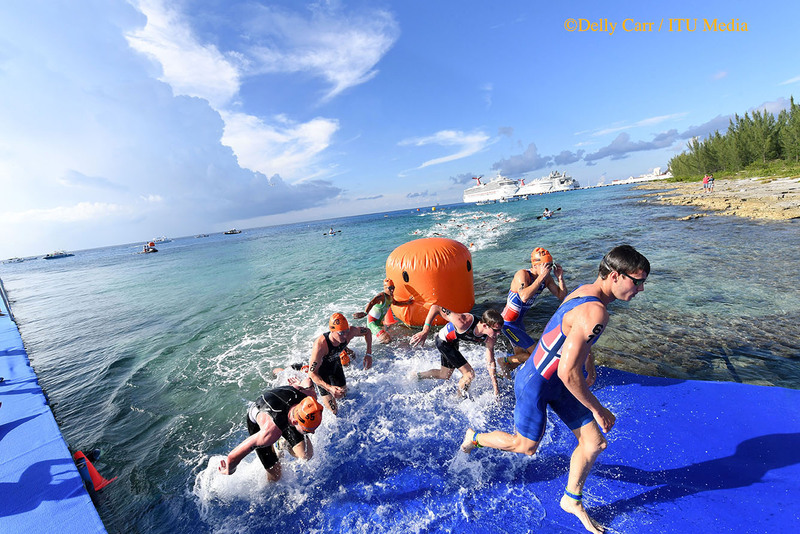 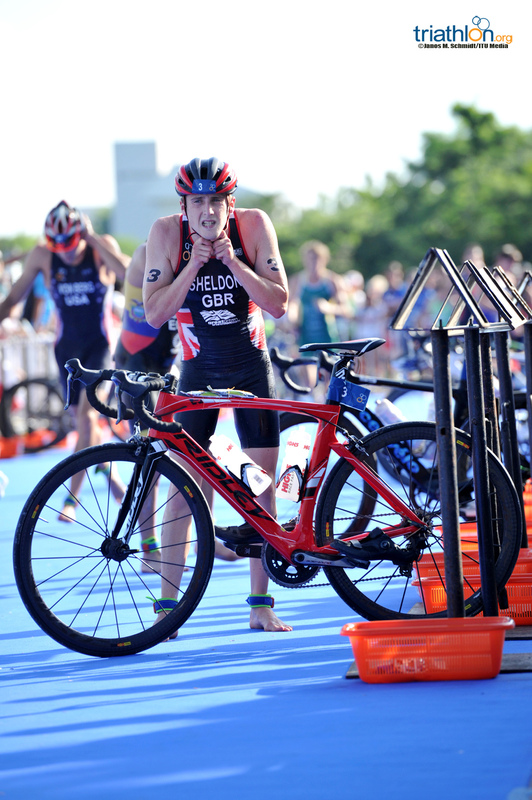 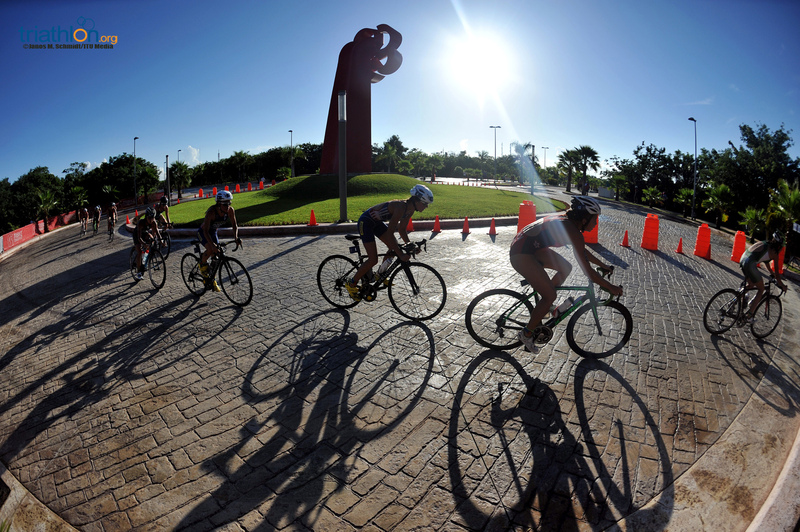 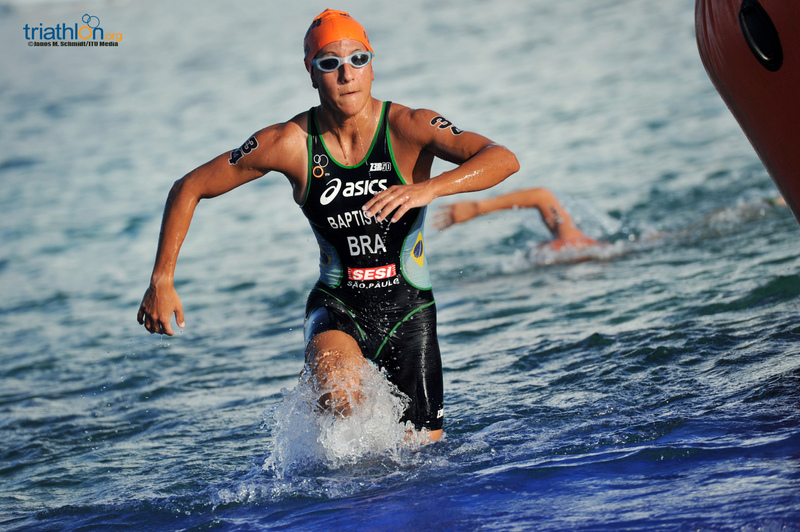 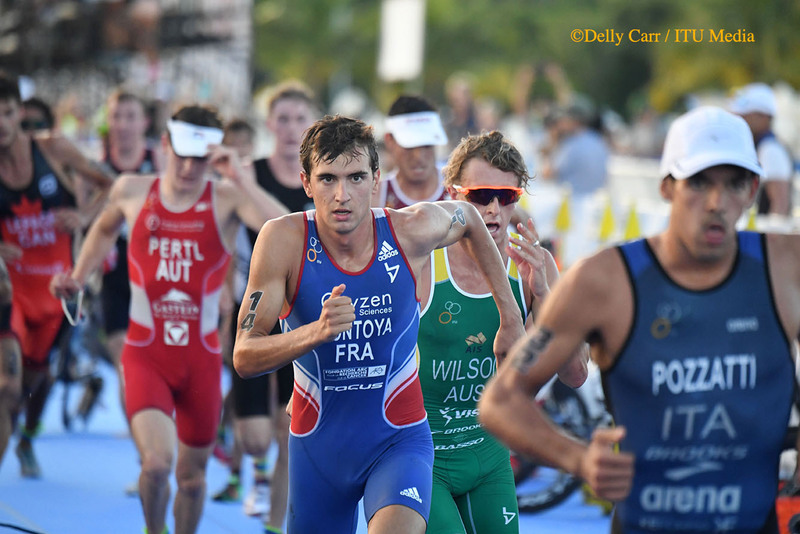 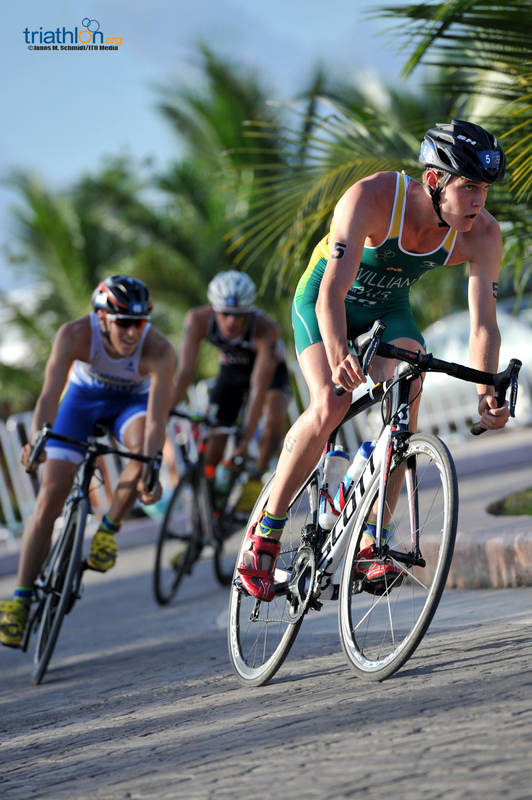 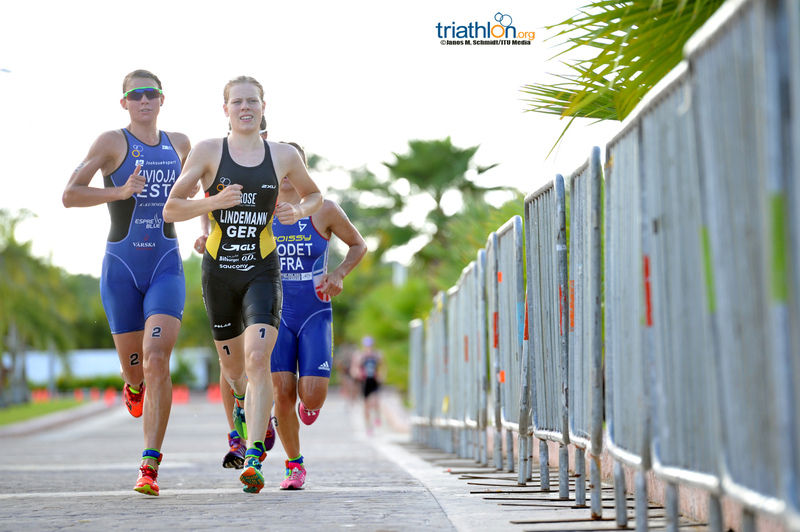 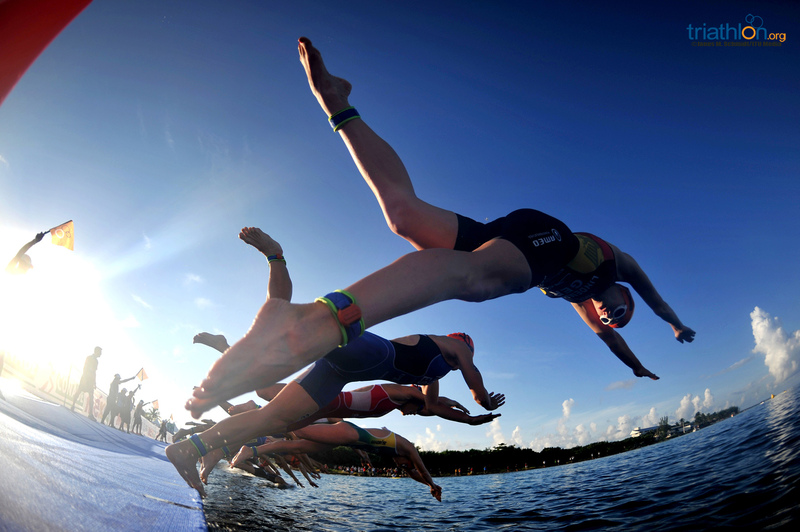 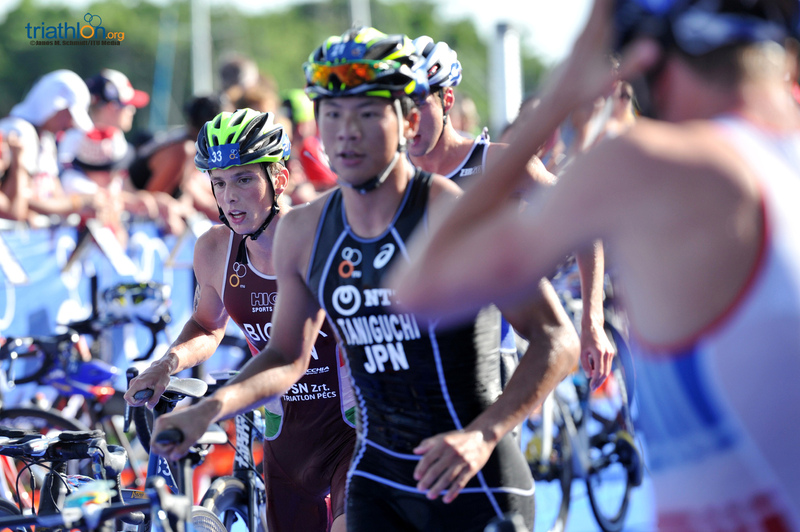 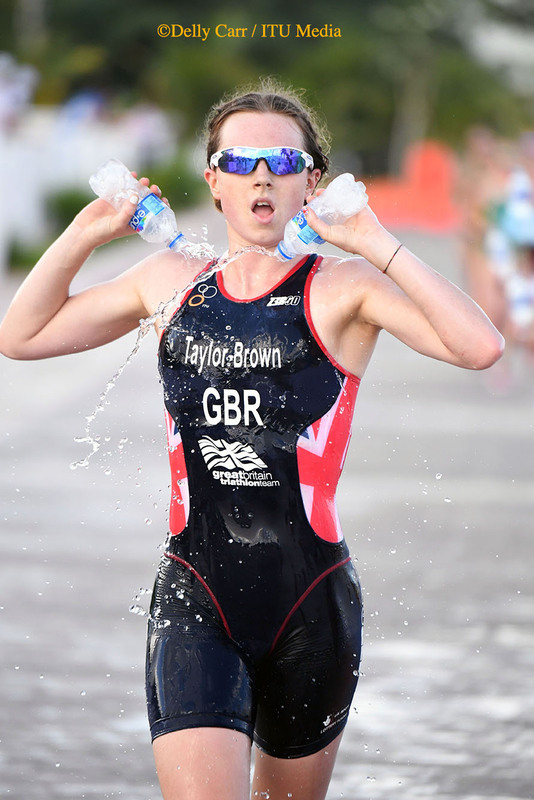 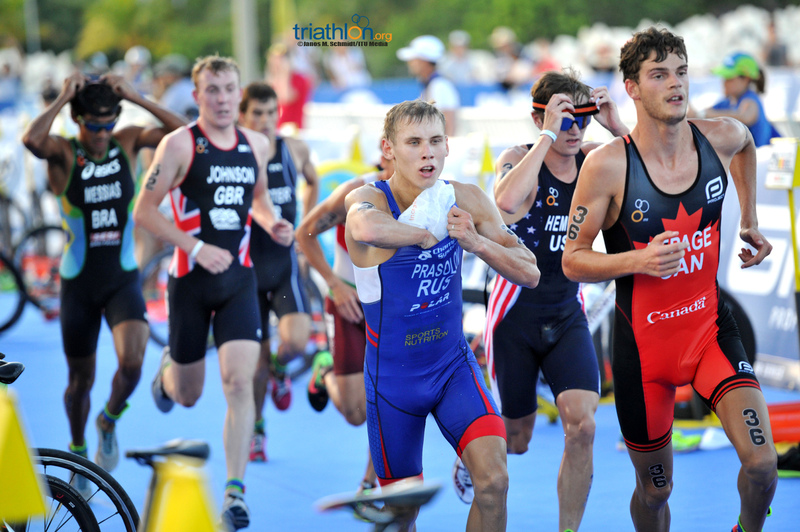 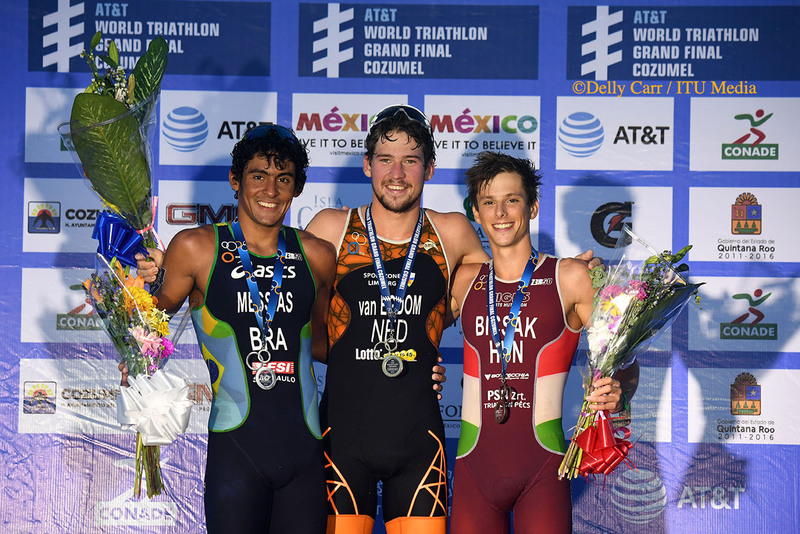 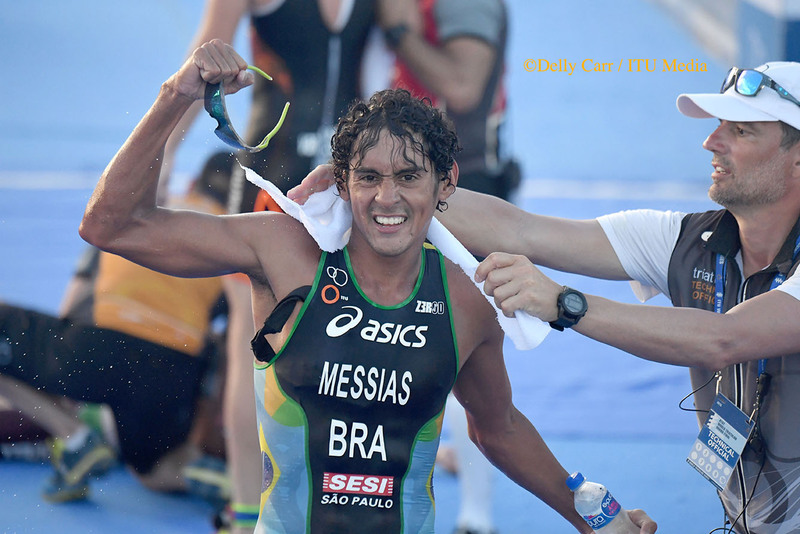 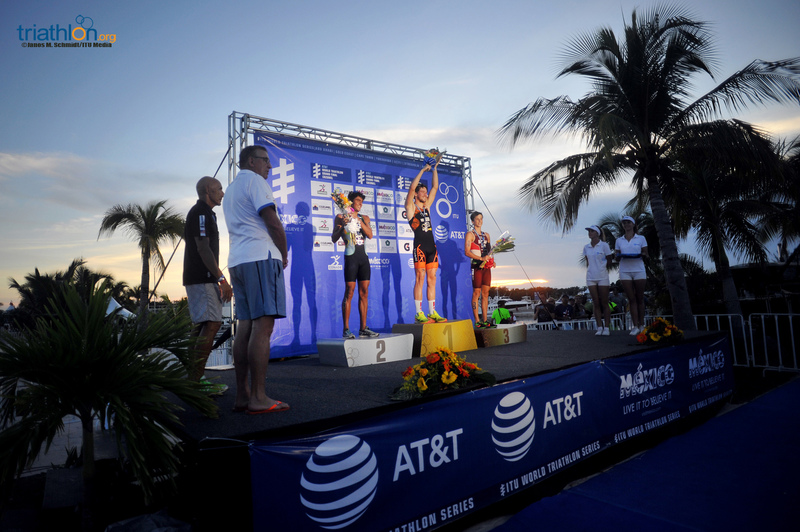 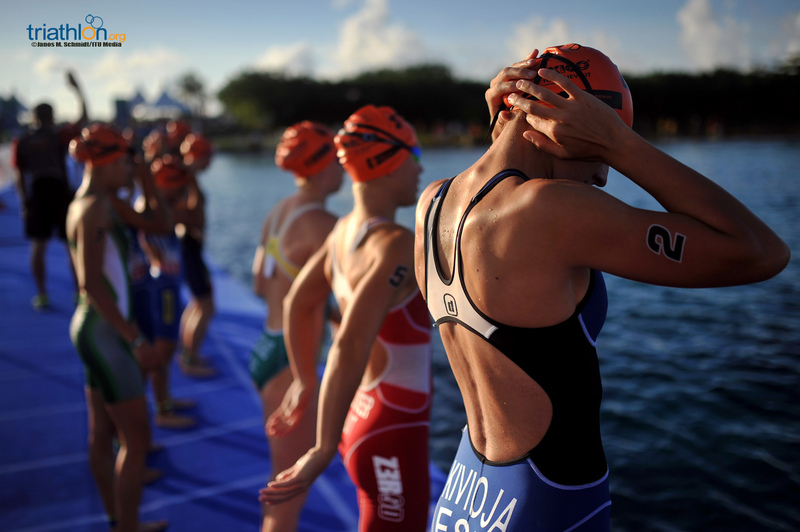 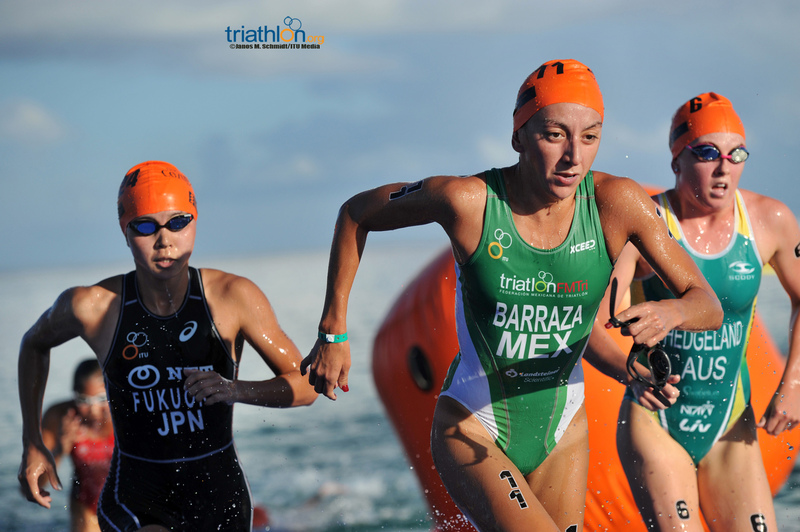 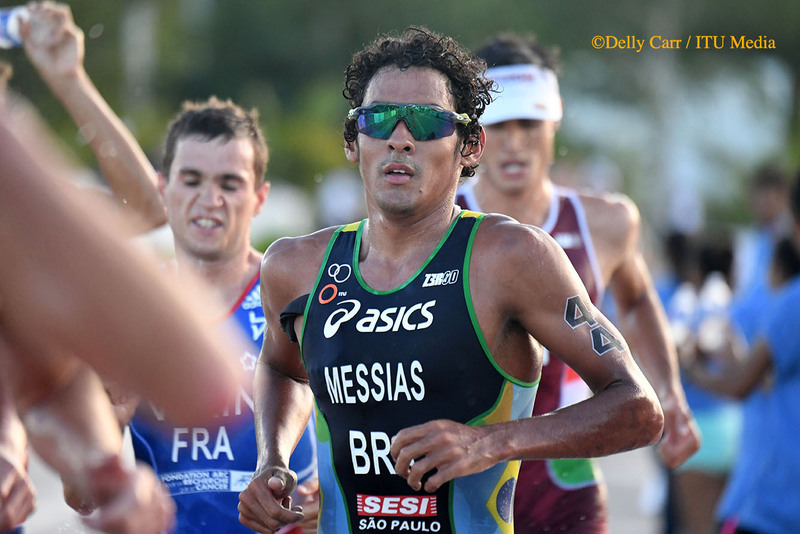 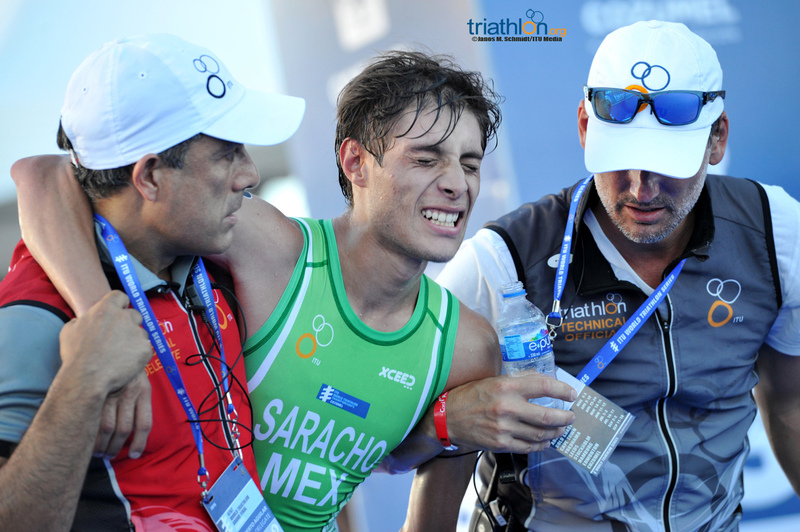 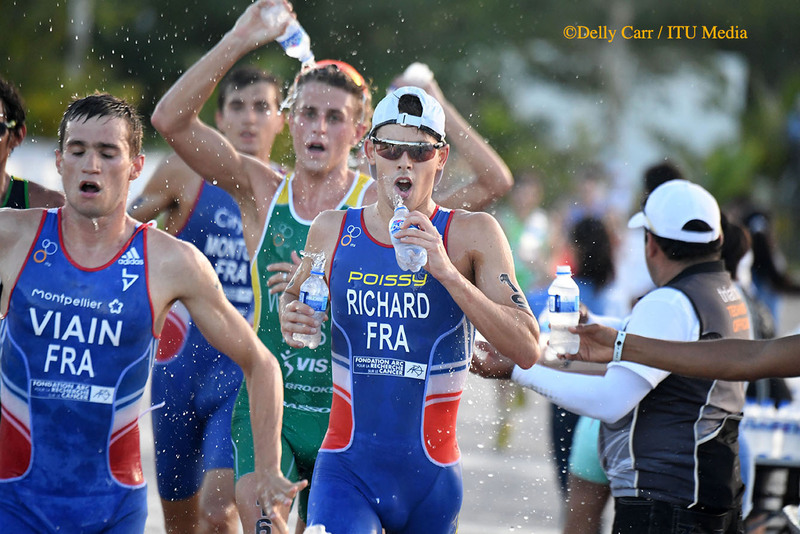 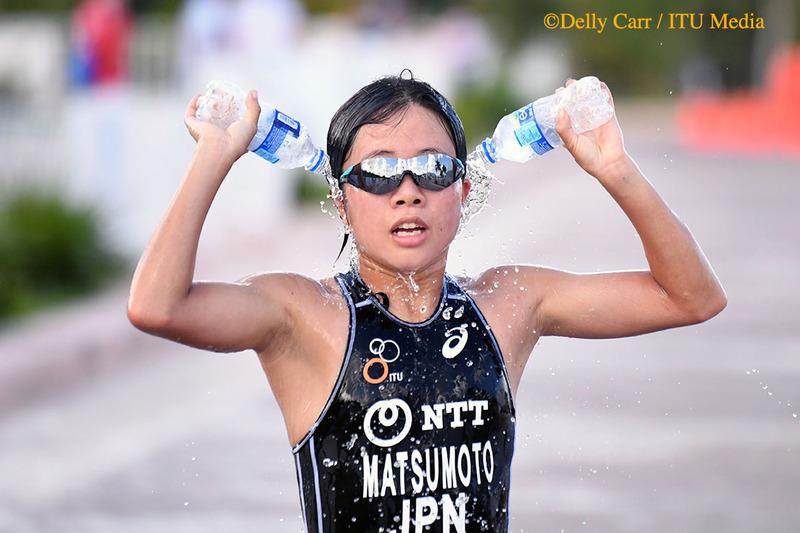 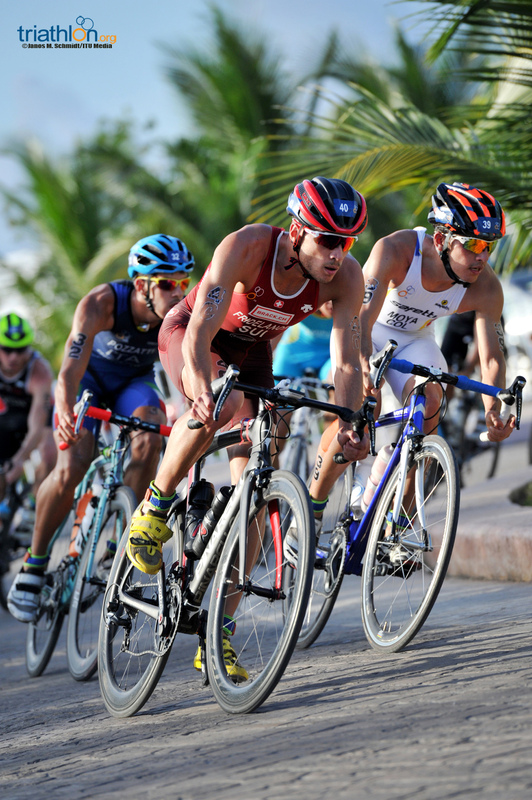 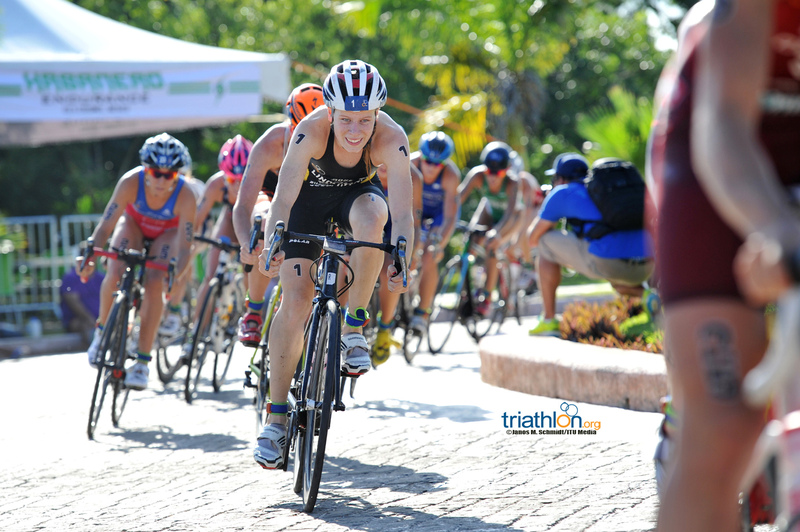 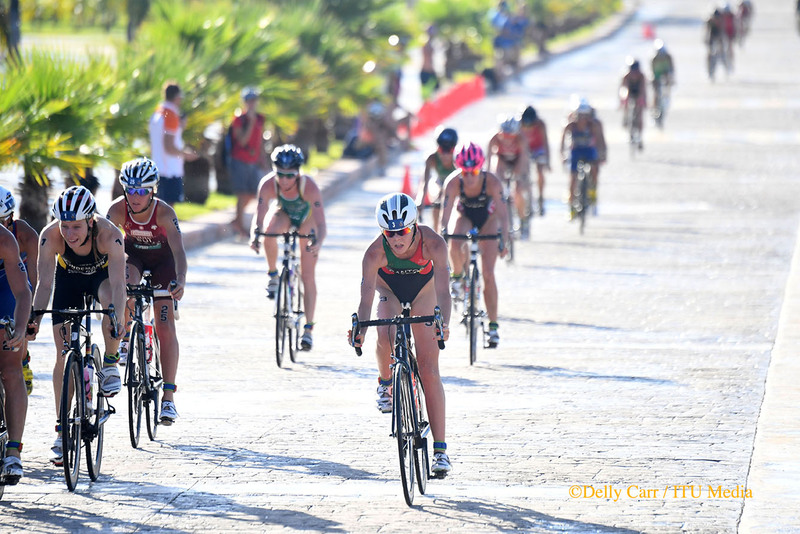 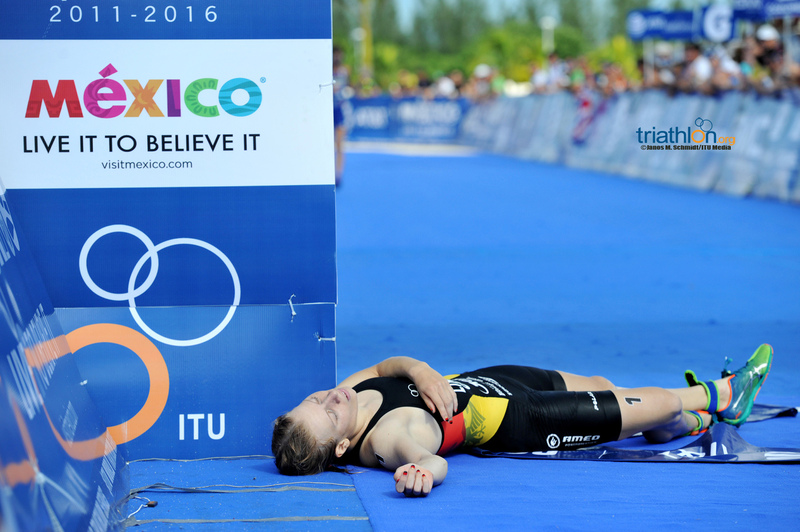 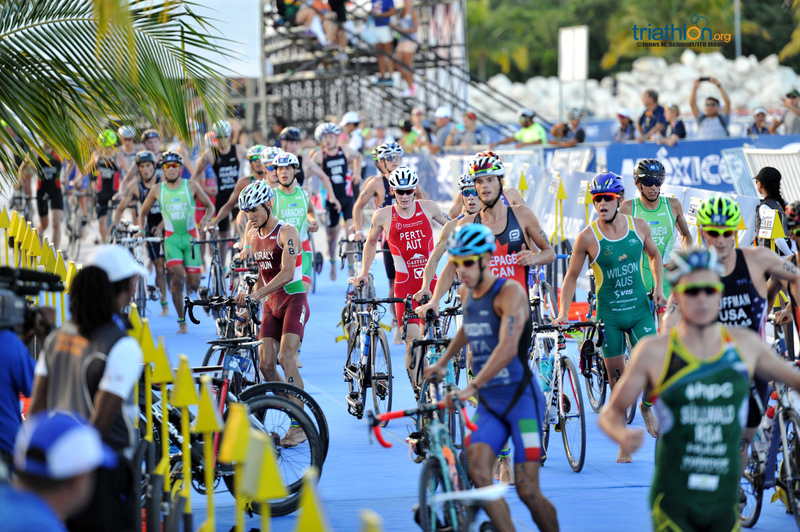 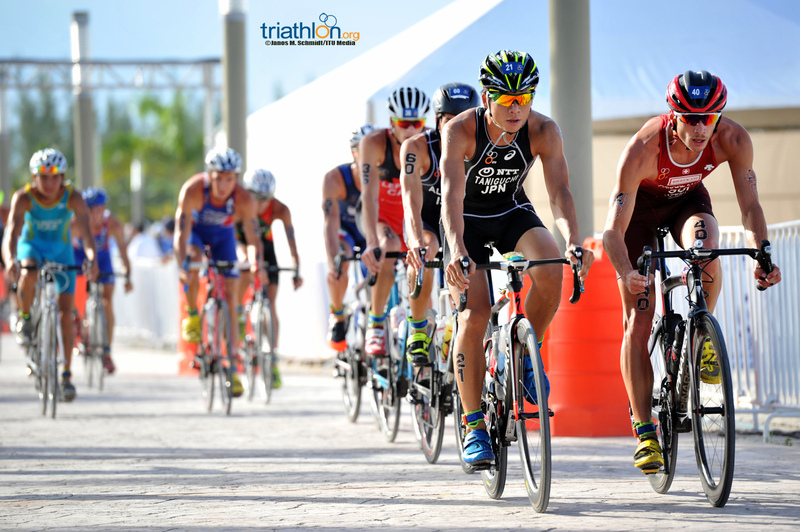 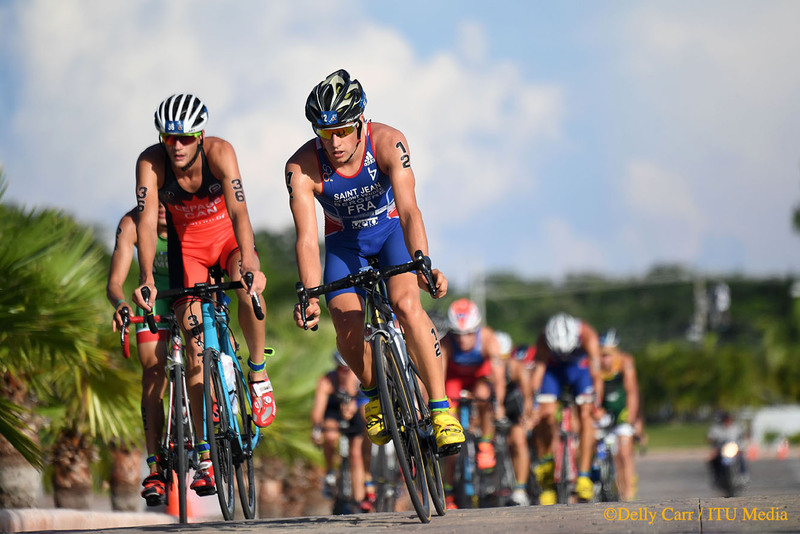 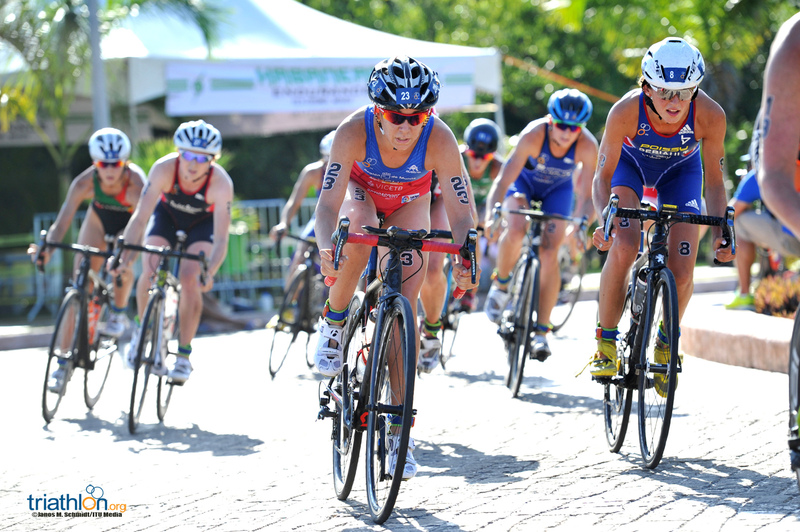 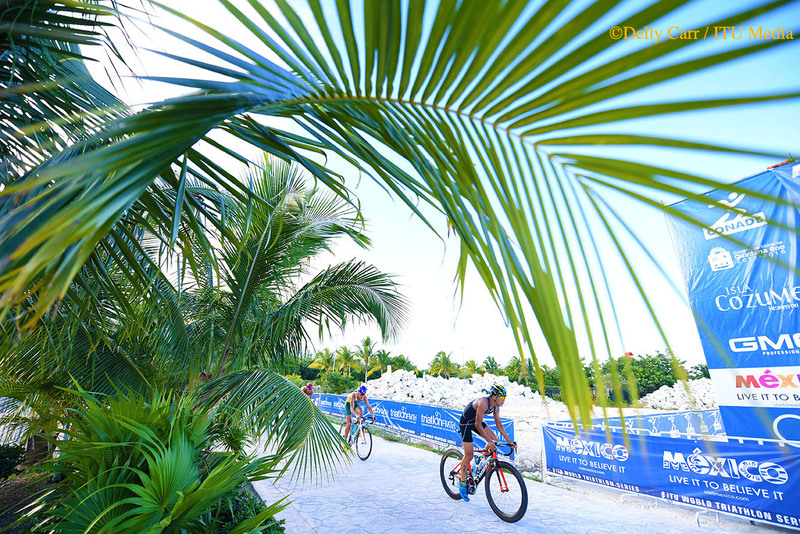 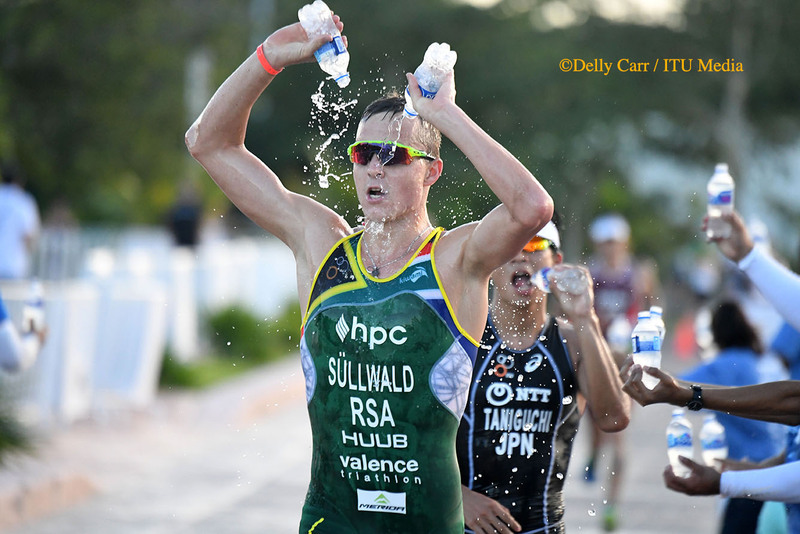 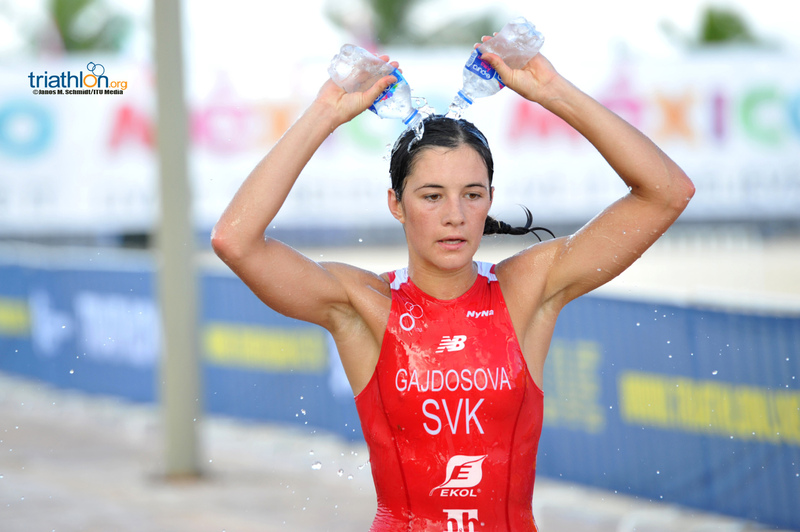 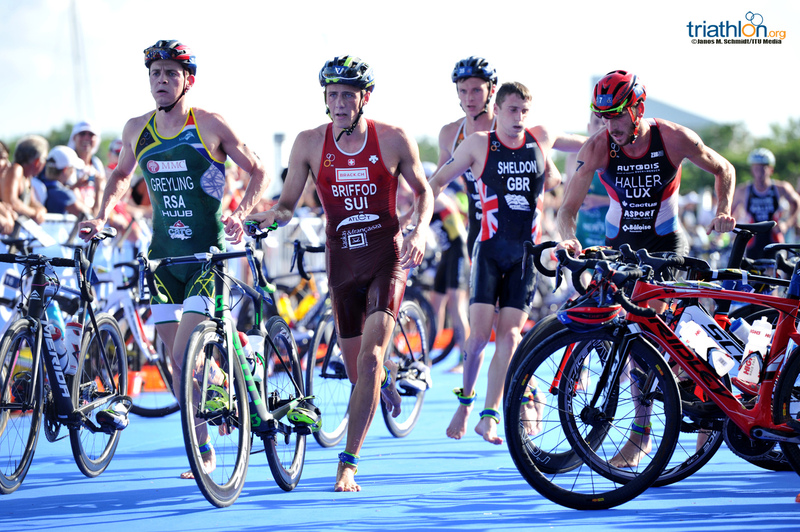 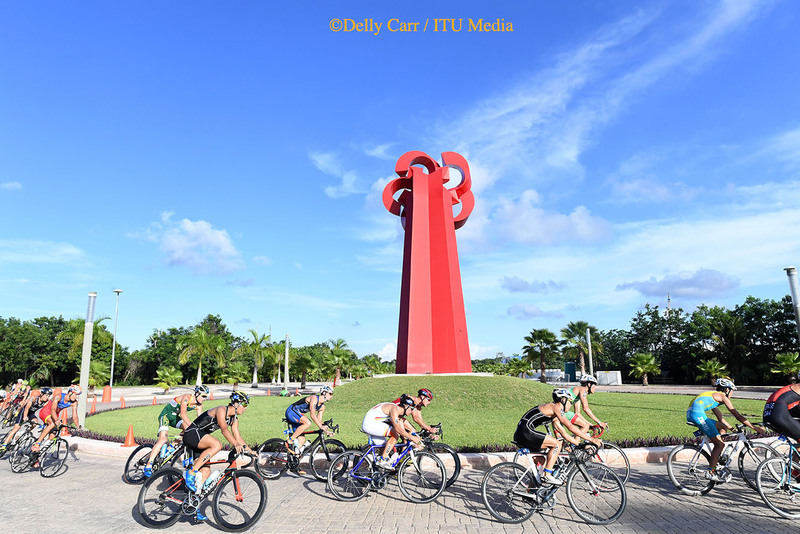 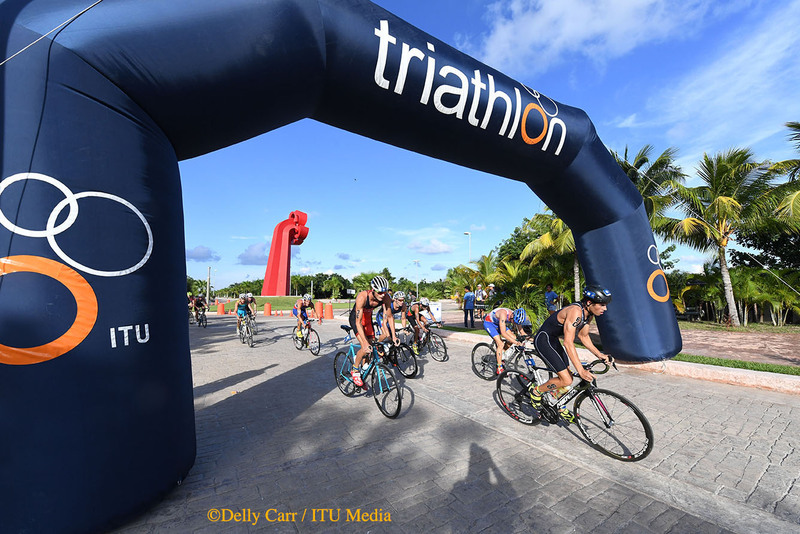 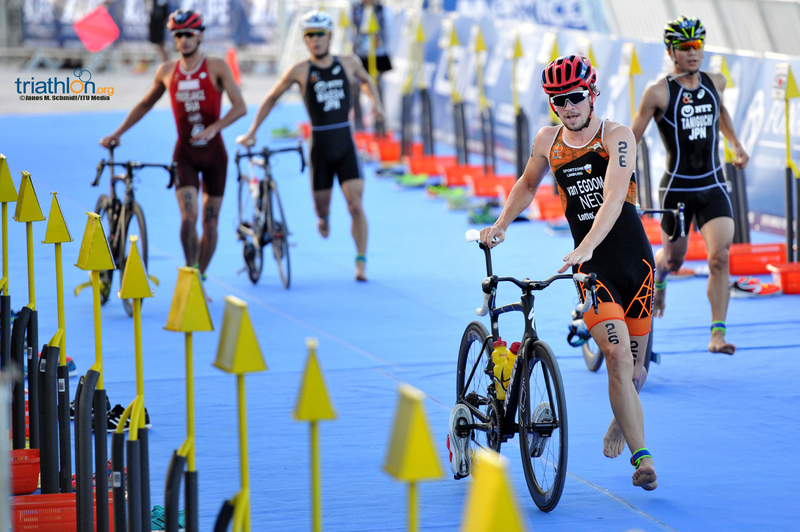 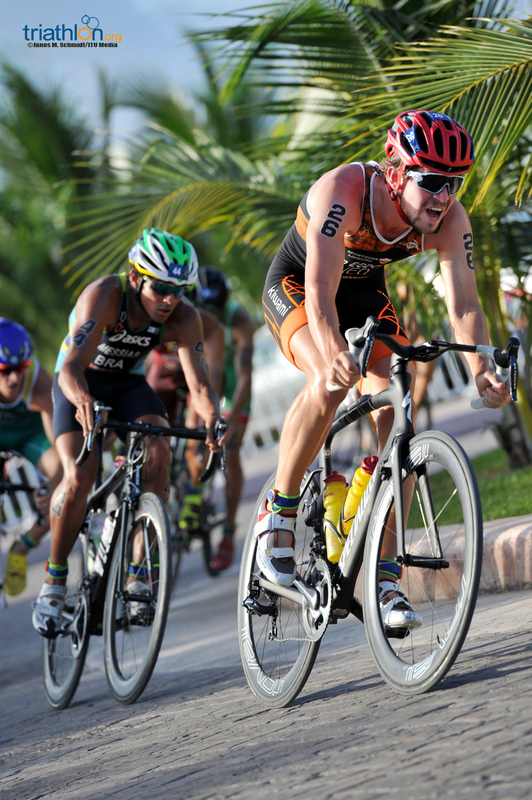 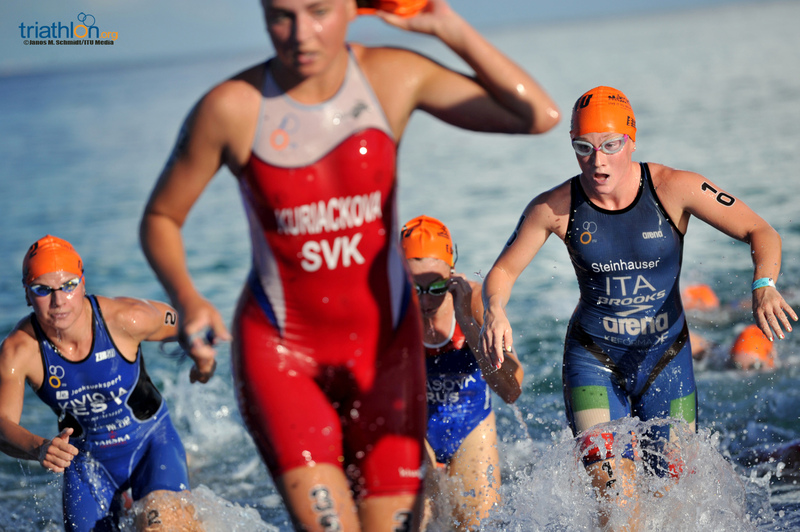 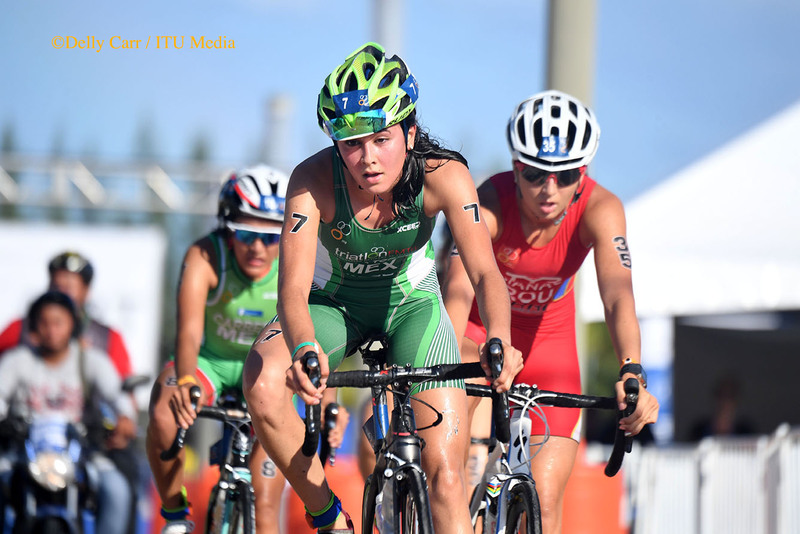 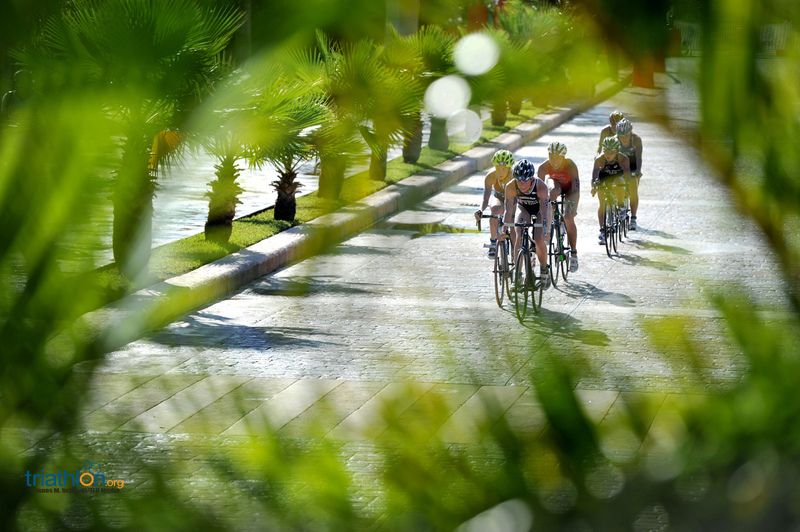 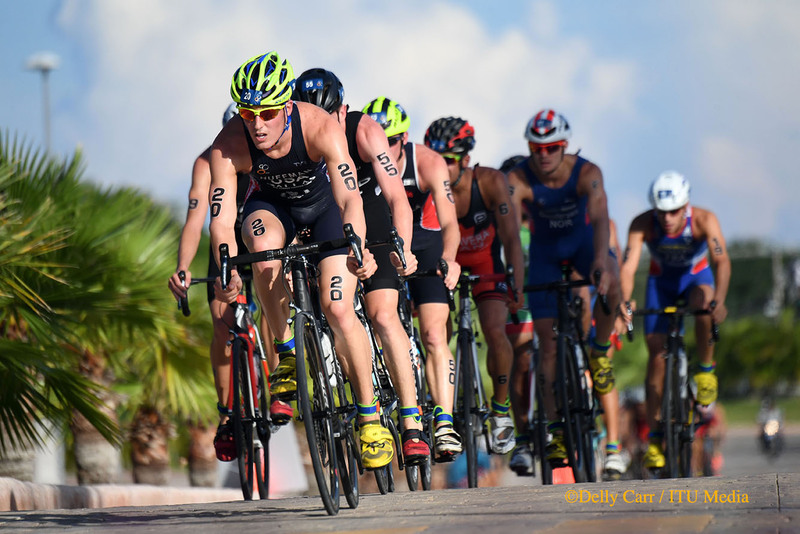 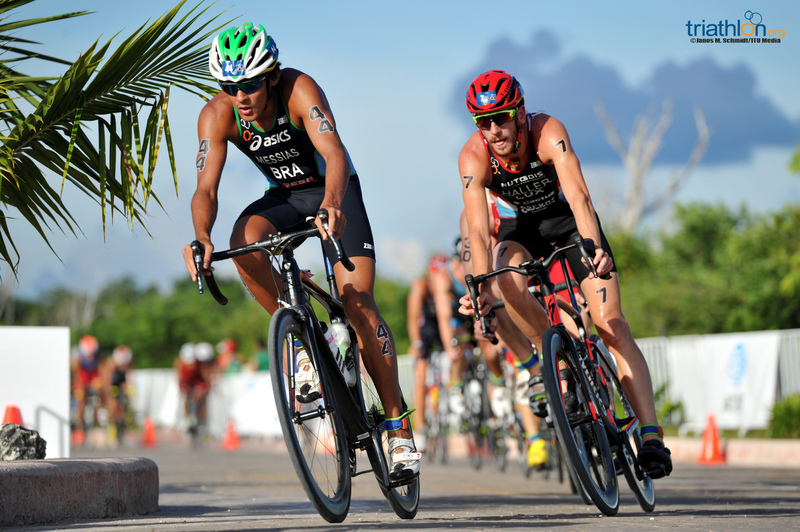 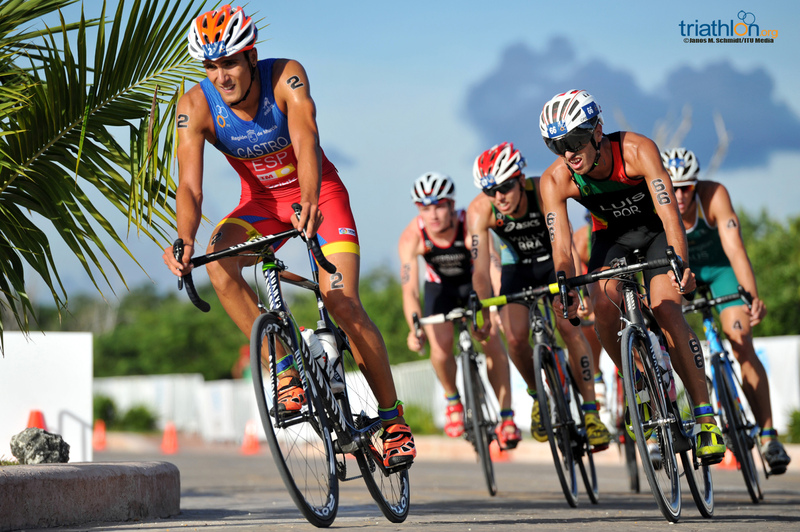 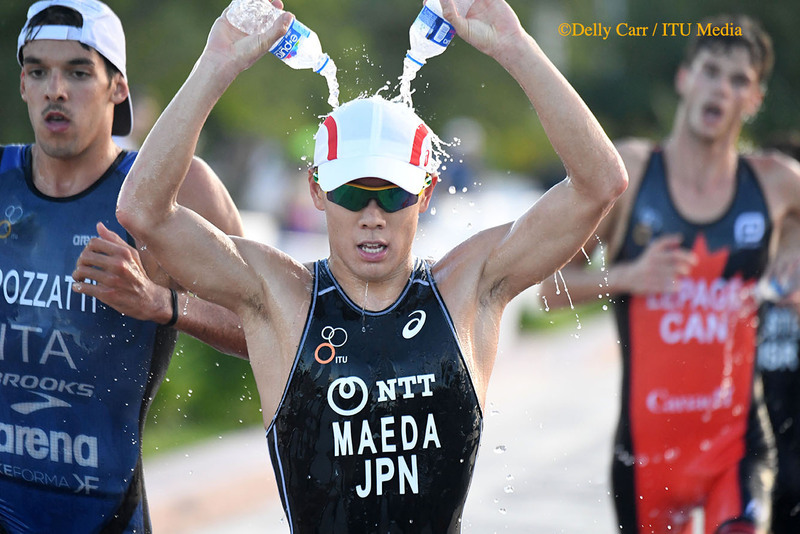 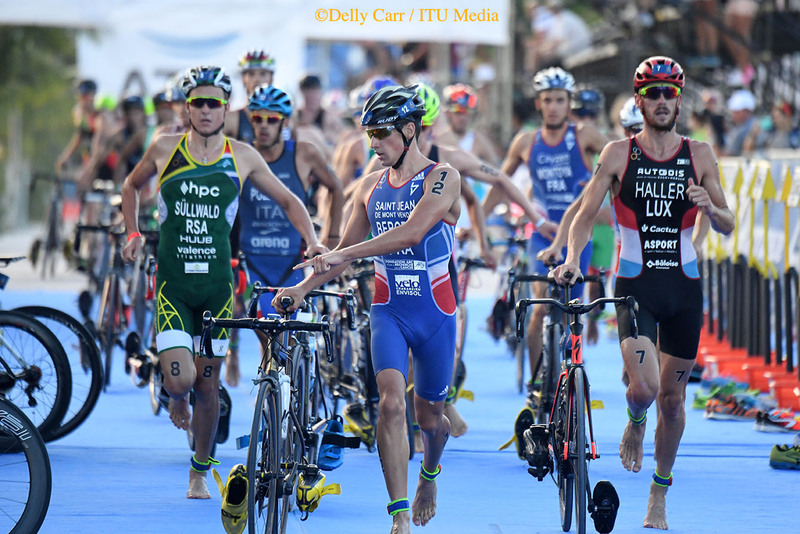 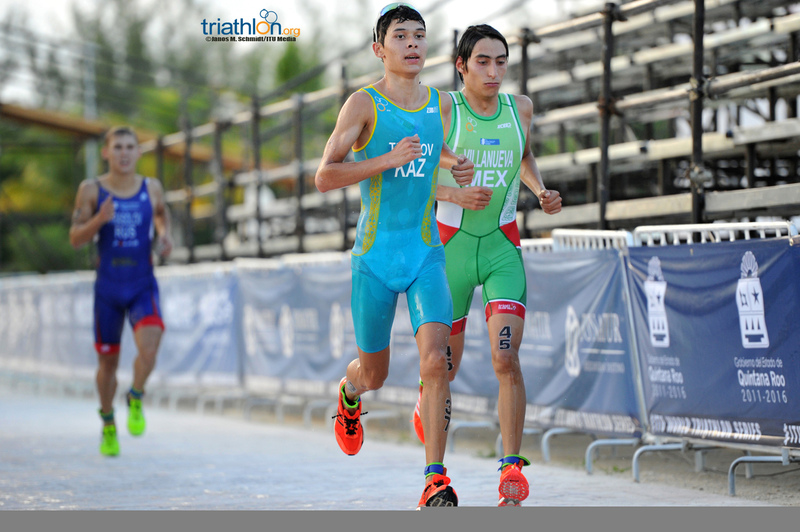 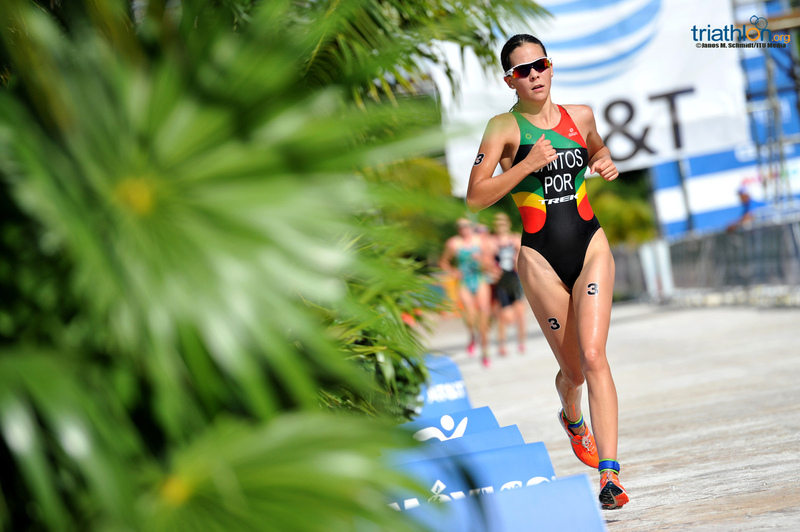 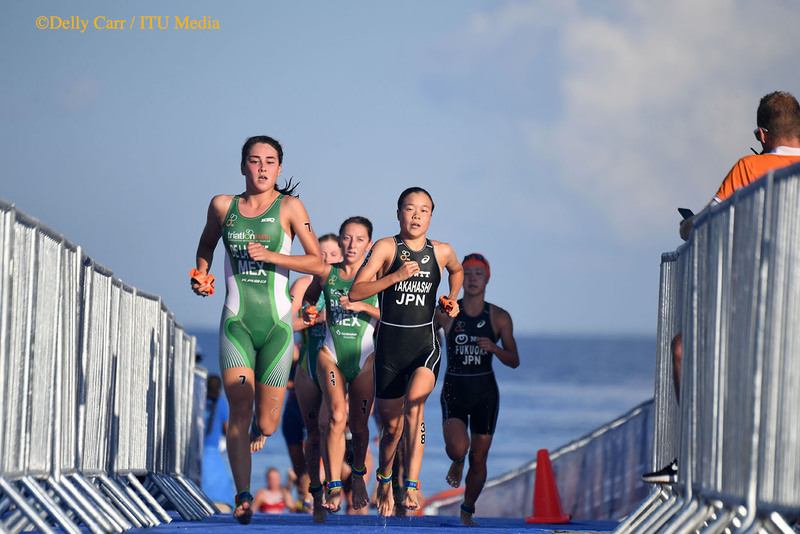 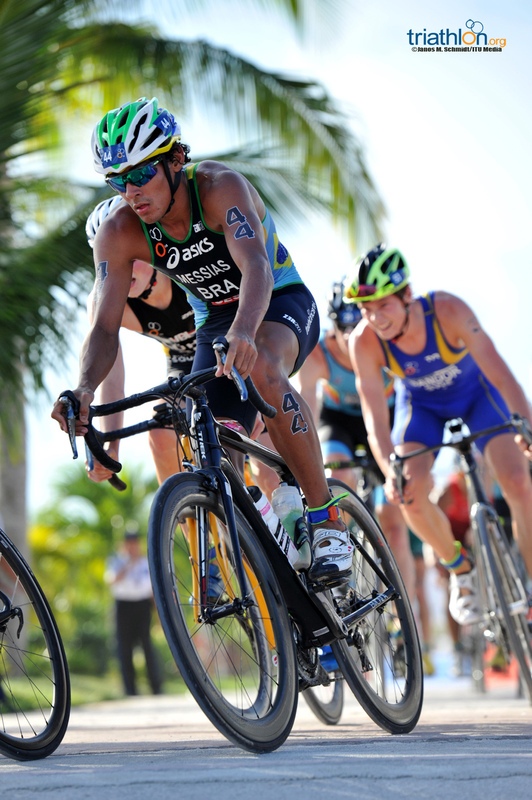 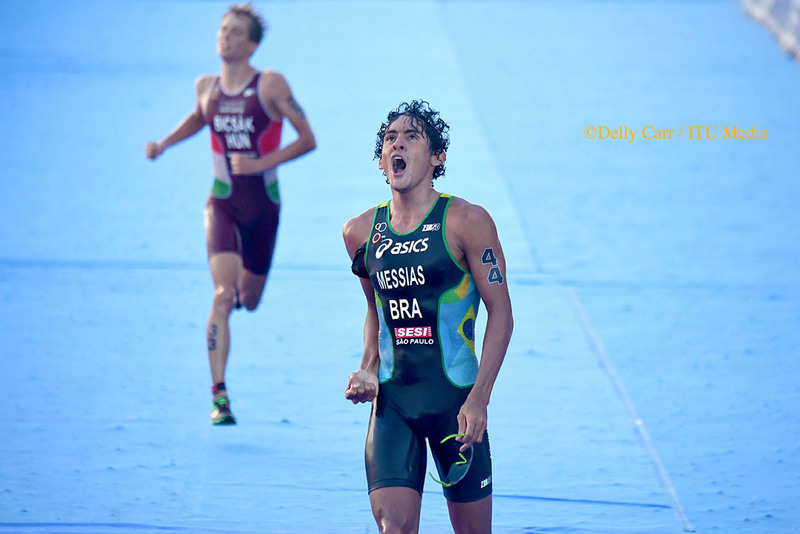 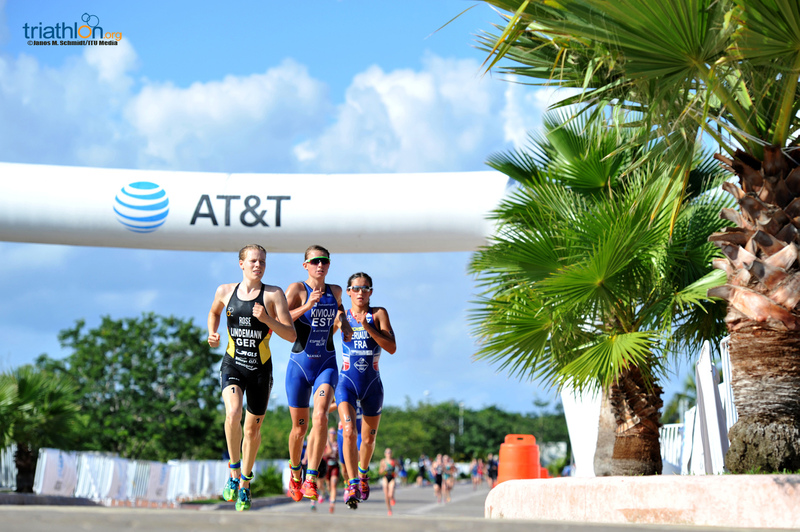 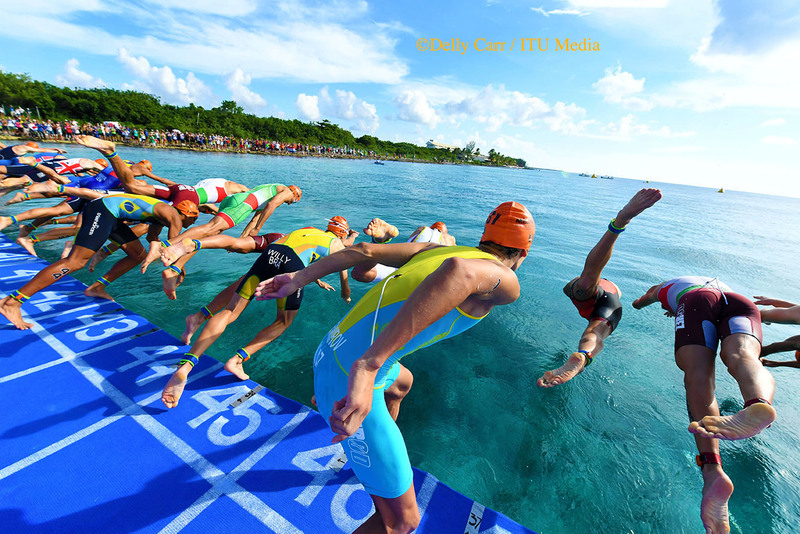 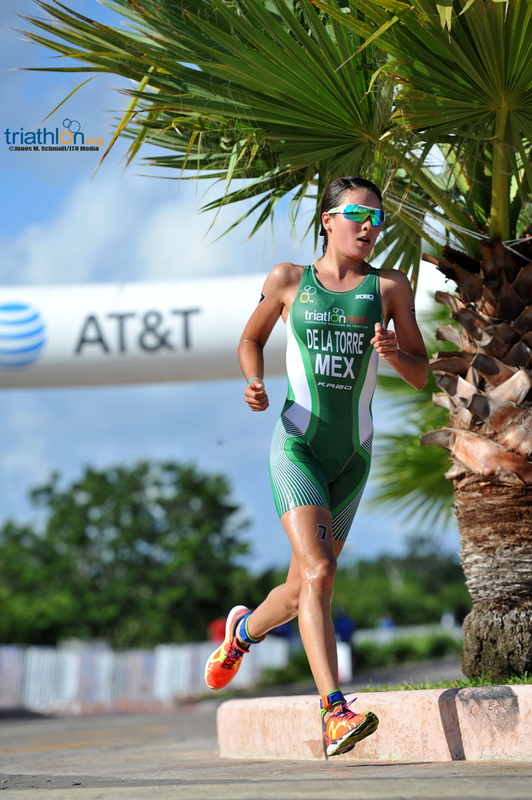 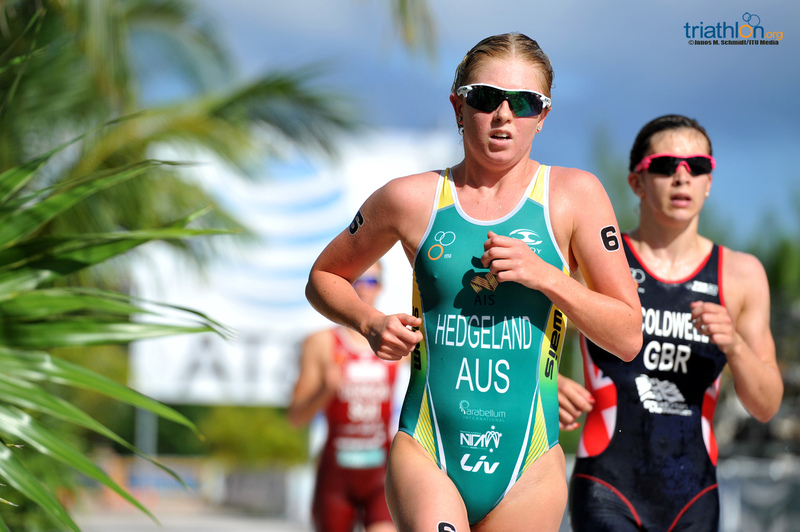 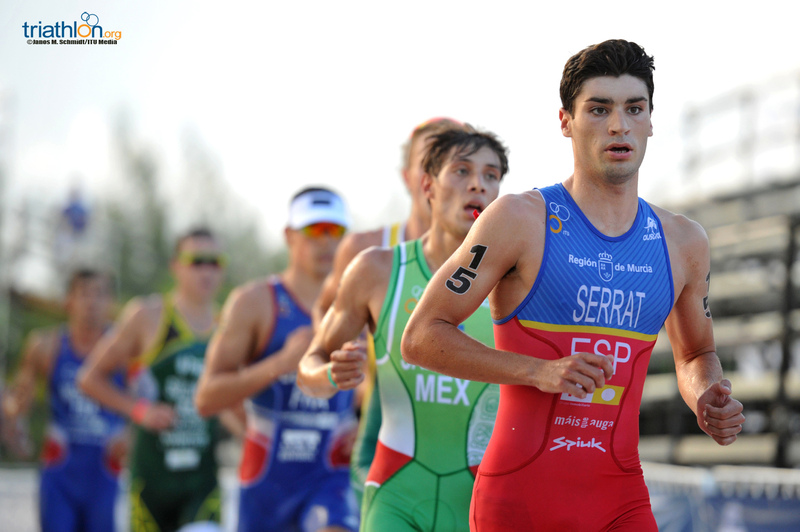 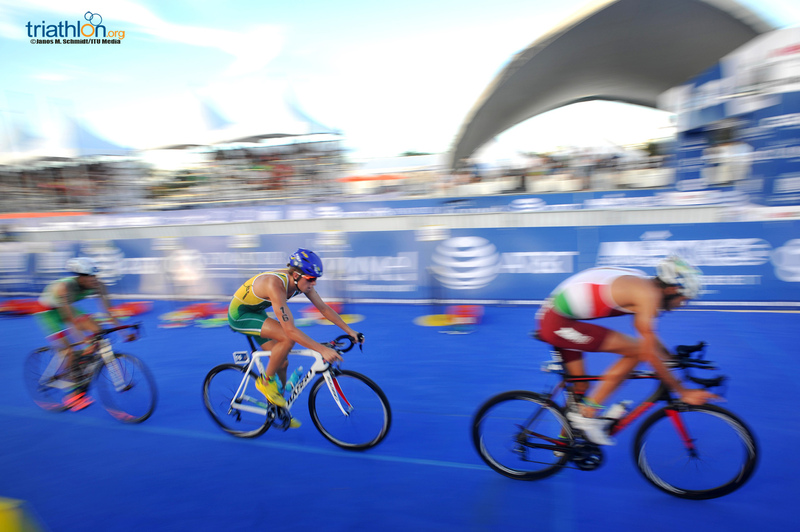 The men’s Under23 World Championships will be one of the first triathlon World Champ races to kick the Grand Final off on Thursday, September 15 at 3pm. 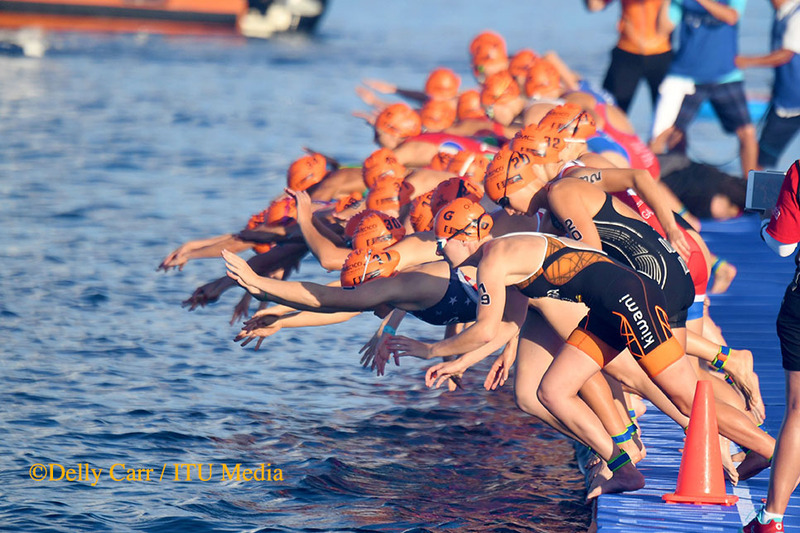 The women will follow on Friday, September 16 at 7:30am.